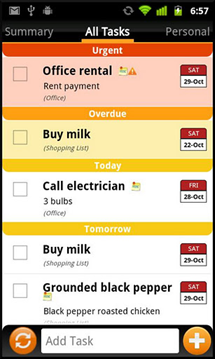 Today's roundup is sponsored by Tasks N Todos, a TODO manager from Handy Apps, the developer of such well received apps as Easy Money and Tip N Split Tip Calculator. 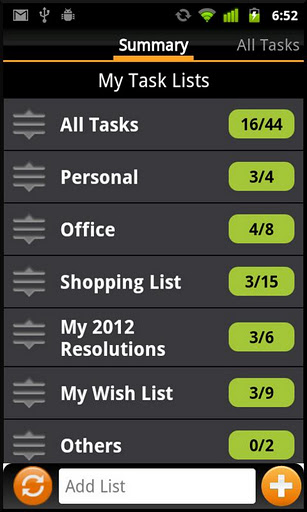 Tasks N Todos combines a pleasant interface with powerful functions, and supports both tablets and phones (see screenshots of both UIs below), including Ice Cream Sandwich. 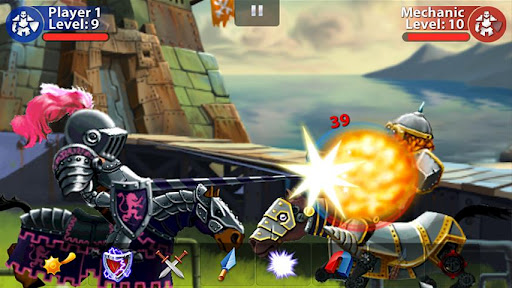 If this is not the most gorgeous and magical tower defense game you've seen on Android, I don't know what is. Another hit from Hexage - no surprises here. 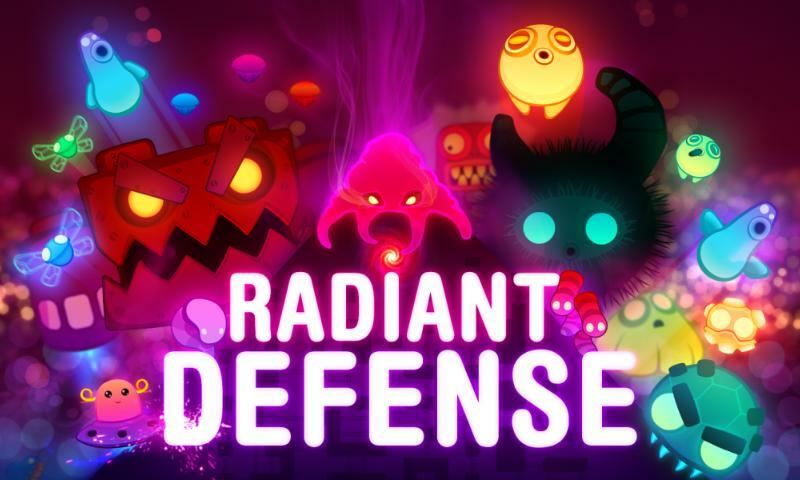 Radiant Defense is a tower defense game set in a vibrant universe invaded by countless alien hordes. 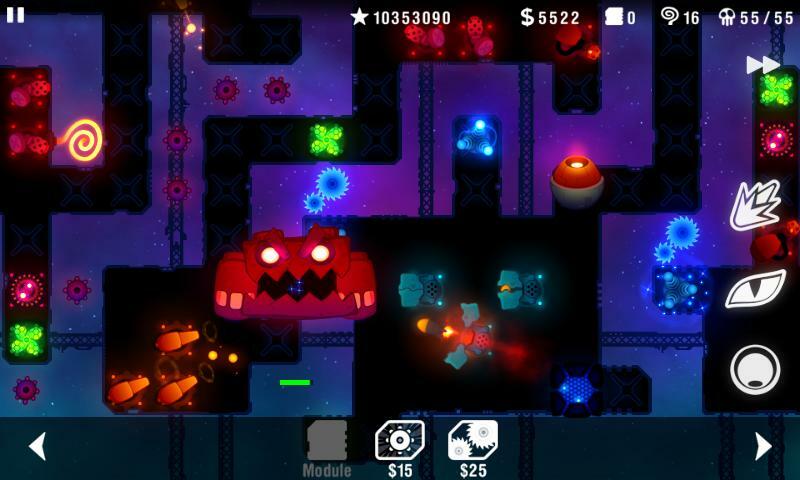 Build your space fortress any way you wish, set up wide variety of weapons and traps and let the invasions begin. Note: Only Tegra devices are supported at the moment. 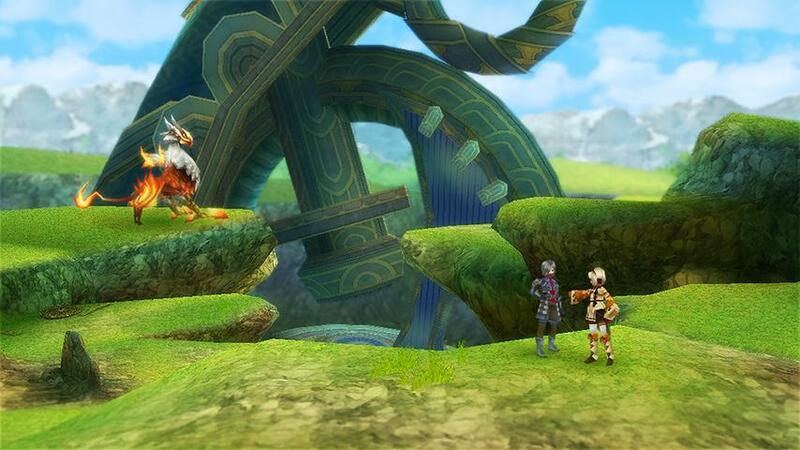 The non-Tegra version is coming on 2012-04-26. 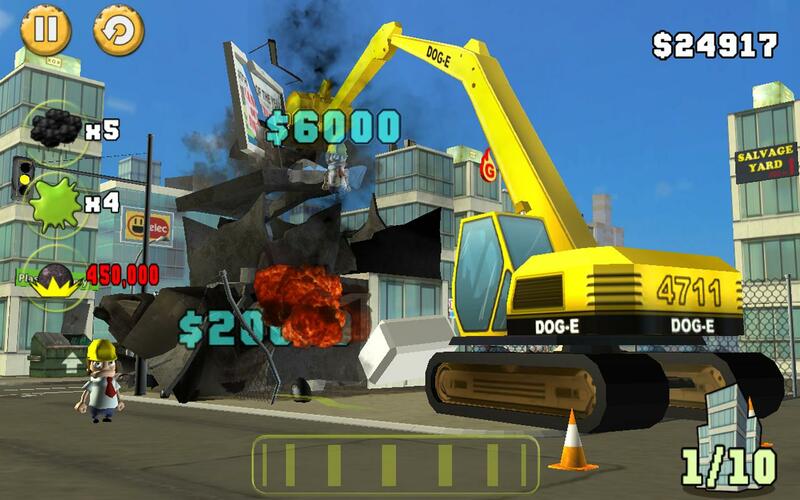 DEMOLITION, INC. is a new action strategy game: Assume the role of the daring demolition worker Mike and start a devastating chain reaction on earth. 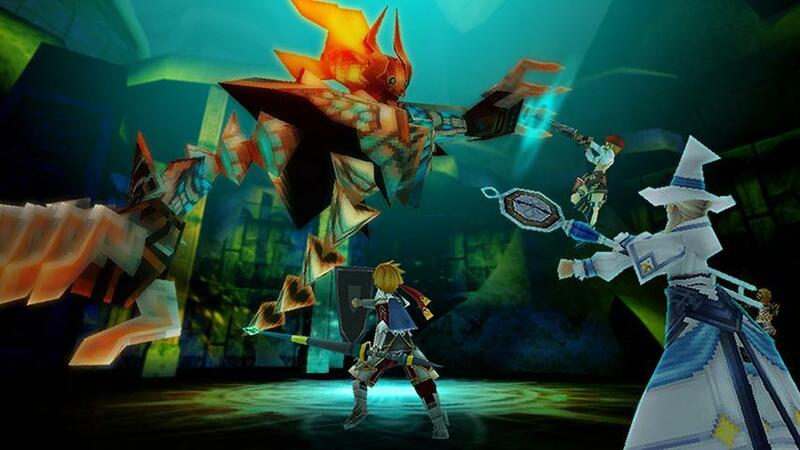 Use cool tools and weapons and expand your destructive powers. 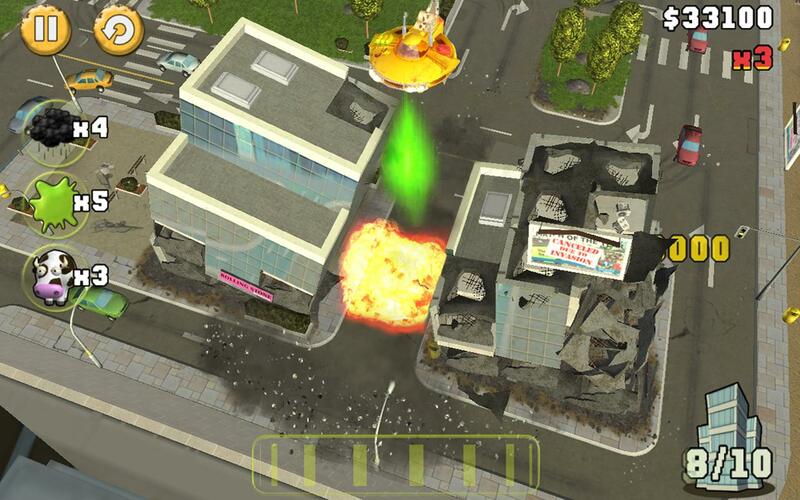 You navigate Mike's UFO over the cities of Earth and unfold complete chaos with your tools and weapons: Cars which drive into tower blocks and make them collapse; high-rises which fall onto other high-rises, exploding cows which make whole streets of houses come tumbling down. 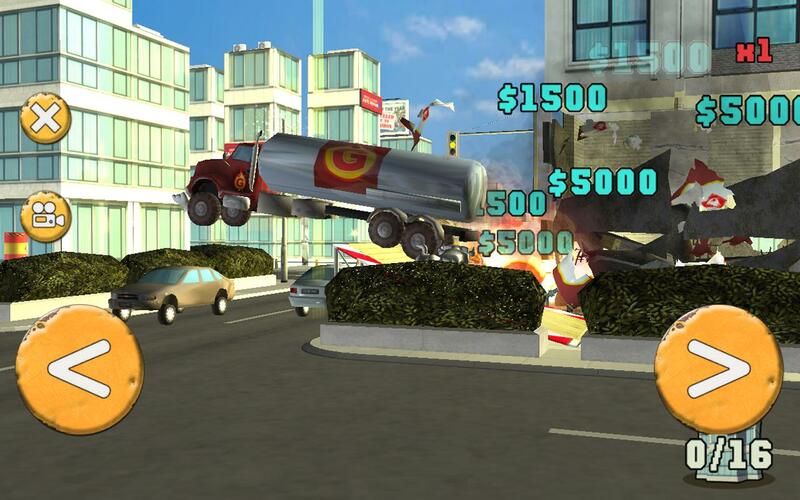 DEMOLITION, INC. is 100% physics technology: nothing is predetermined, and nothing is pre-animated. Your actions alone decide what happens and what you see. Because of this, every time you play will be a unique experience and you won't get enough from those explosive chain reactions you make by yourself. 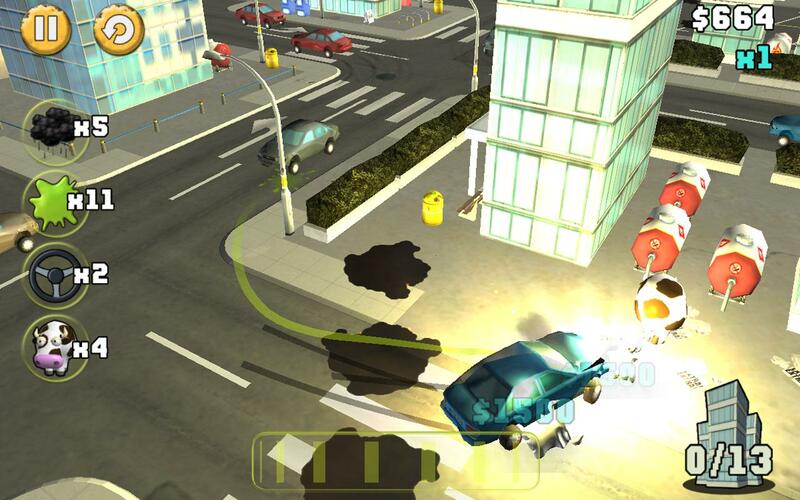 Death Rally was released only in Canada until last week but now it's available globally! 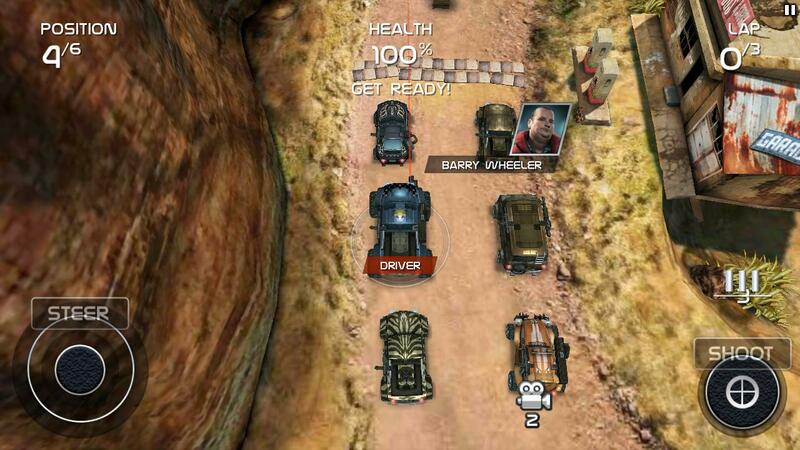 Death Rally is an action packed COMBAT RACER with CARS, GUNS and EXPLOSIVE FUN. 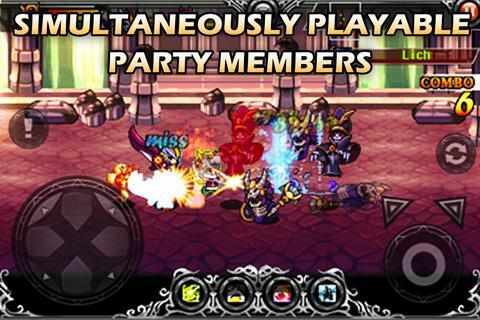 Played more than 60 million times by more than 5 million gamers worldwide. FREE to play for as long as you like. 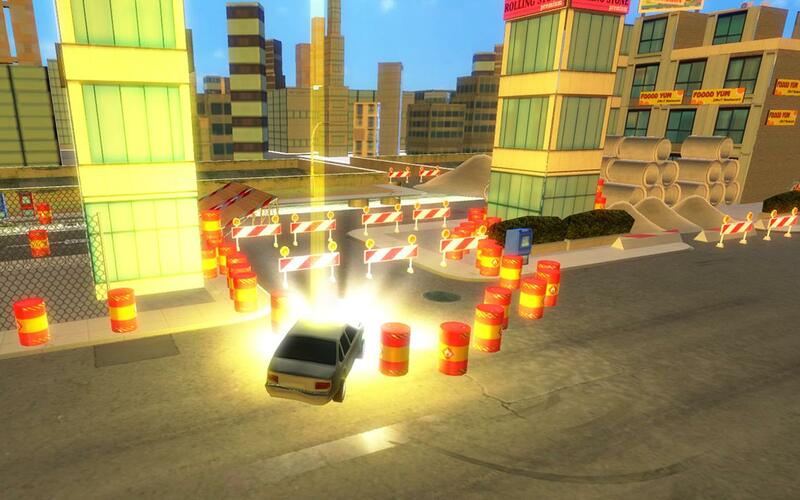 A thrilling career mode where you can upgrade and level up your cars and weapons with in-app purchases, or for FREE through TapJoy sponsored actions. 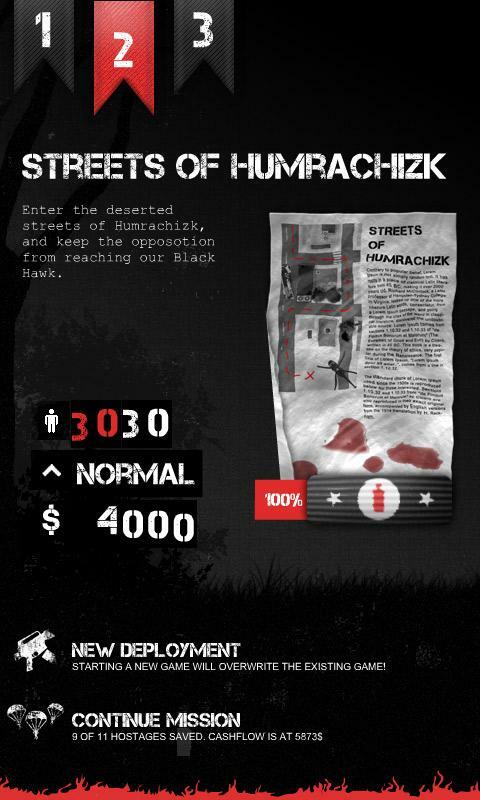 Lock and load and enter the Death Rally, humiliate and destroy your opponents. You choose how you win, NO TRICK IS TOO DIRTY. 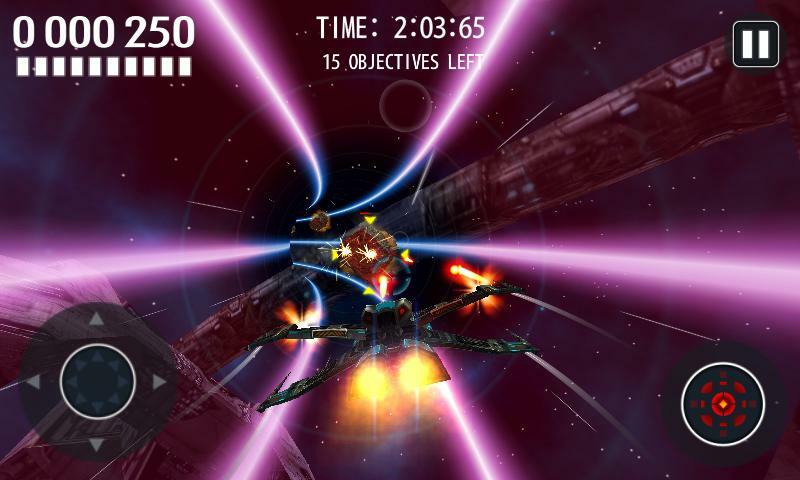 Final Space - highly addictive 3D space shooter. Prepare for star battle and save the universe - for FREE. 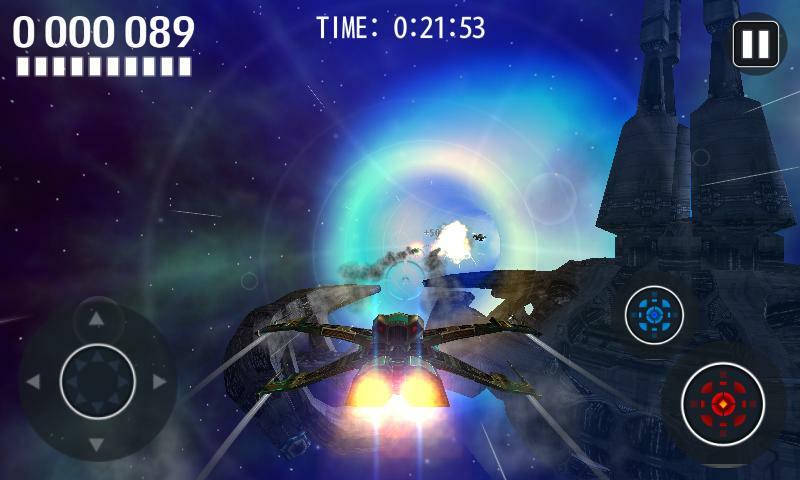 Final Space is impressive and dynamic 3D action game that will give you lots of fun. 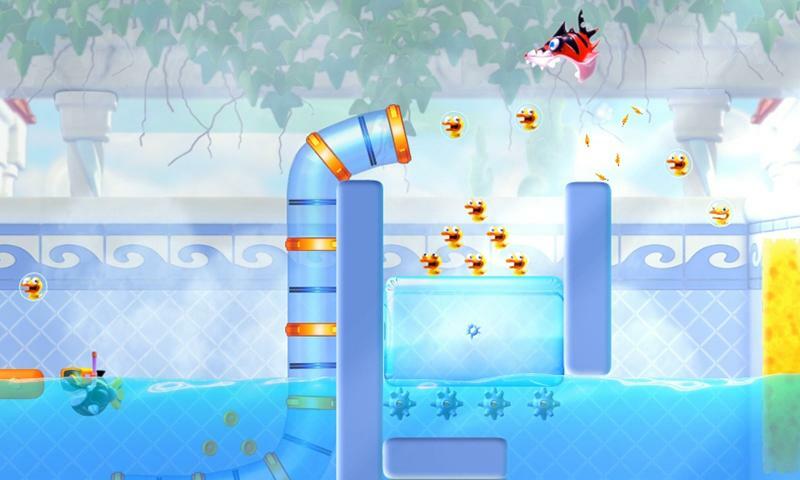 - Unlimited number of stages! 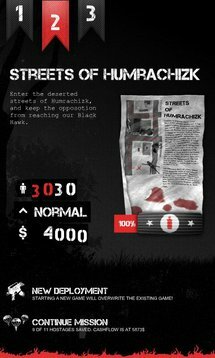 Developer: Silesia Games Sp. z o.o. Magical, soothing, and extremely polished - just the way we like 'em. Check out the video and make sure you don't miss this one. 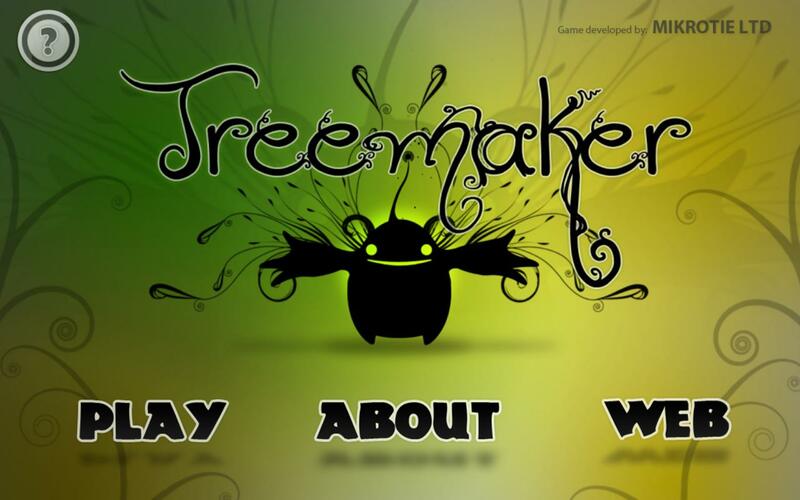 Treemaker is a casual puzzle game offering the finest 3d graphics quality and performance for the latest Android devices. 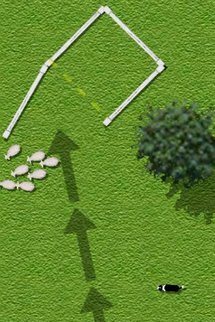 Travel your way through three different worlds, harness the power of physics and help the creatures get their trees back. 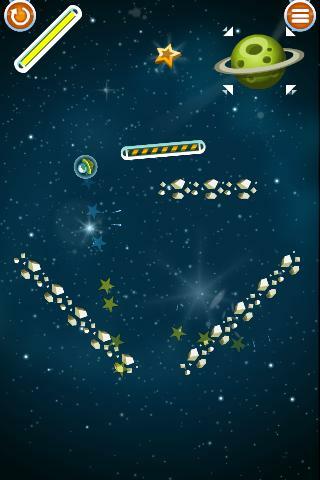 Tap on the screen to cast a rope, second tap makes you fling yourself to the direction of rope! 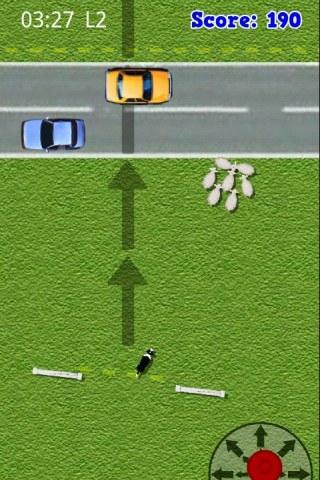 Swipe the screen to swing and gain speed. 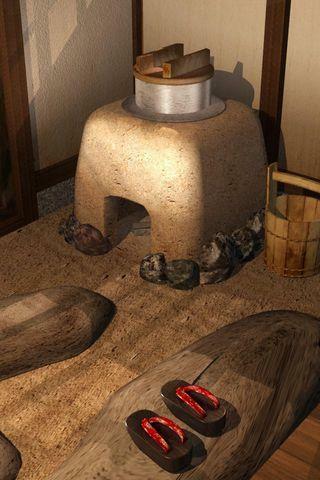 Pinch to zoom and view the 3d environment. 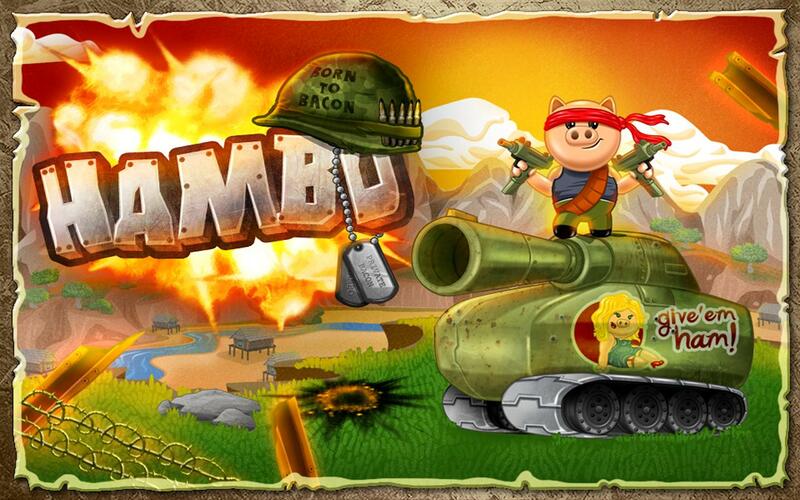 Hambo the war hero needs help rescuing his best friend Bacon from the enemy's evil clutches! 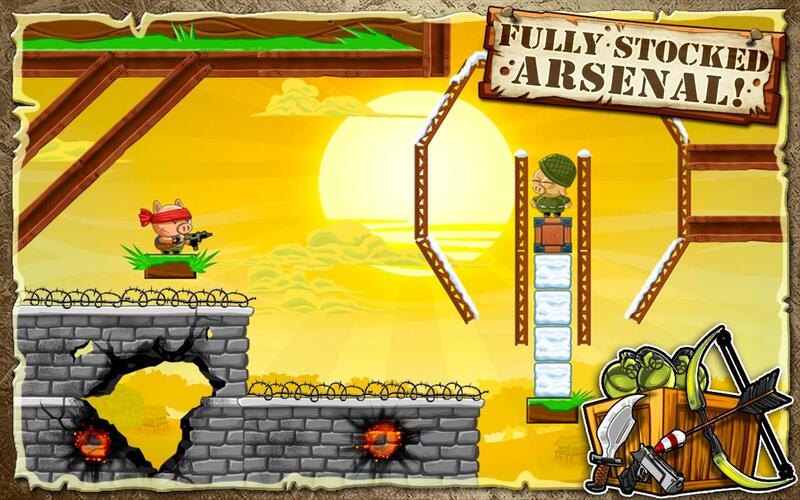 Make use of your deadly arsenal and destroy those who dare to oppose Hambo on his noble rescue mission. Now's the time to eradicate injustice in this dangerous battlefield. 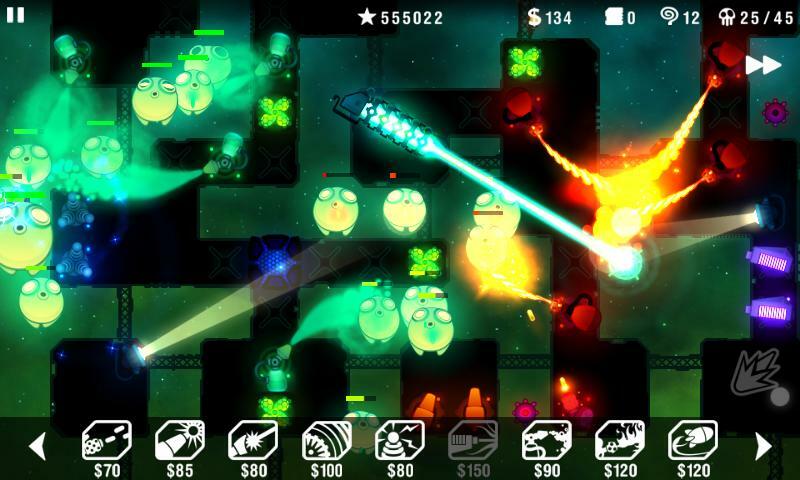 Vanquish your enemies over 5 mission packs, and fight your way to Bacon in more than 200 reactive physics puzzles. Head to the store to change Hambo's look in more than 20 cool ways. 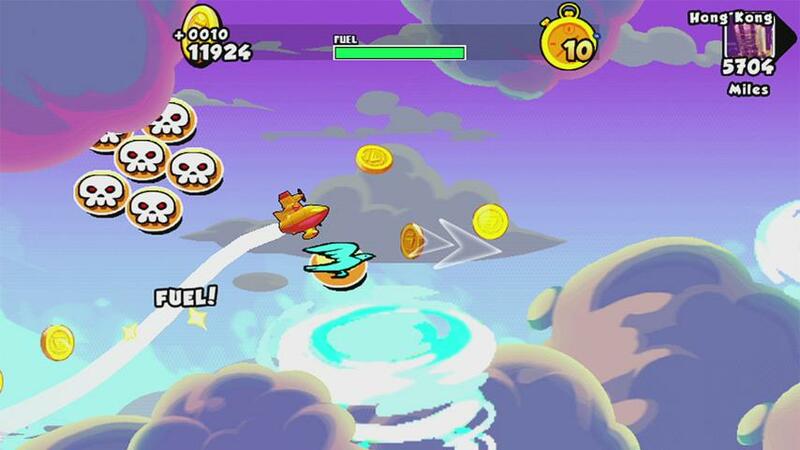 Panic Flight takes you on an endless adventure where your reflexes - and your finger - are put to the ultimate test! As a pilot of the AMA Airlines fleet, you must fly as far as possible and transport your passengers safely to their destination. But be careful! Obstacles such as tornados and UFOs with destructive desires will do everything in their power to stop you. 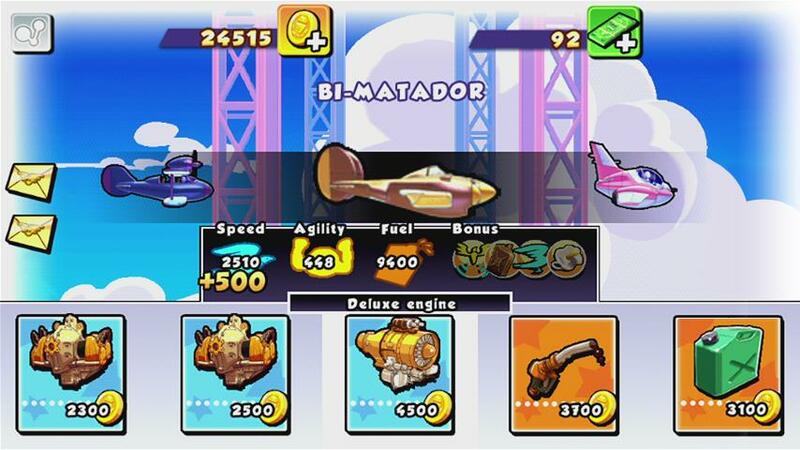 Choose and upgrade your planes to fly at your convenience. Travel the globe On solo missions or demonstrate your flying skills to the world in infinite flight. 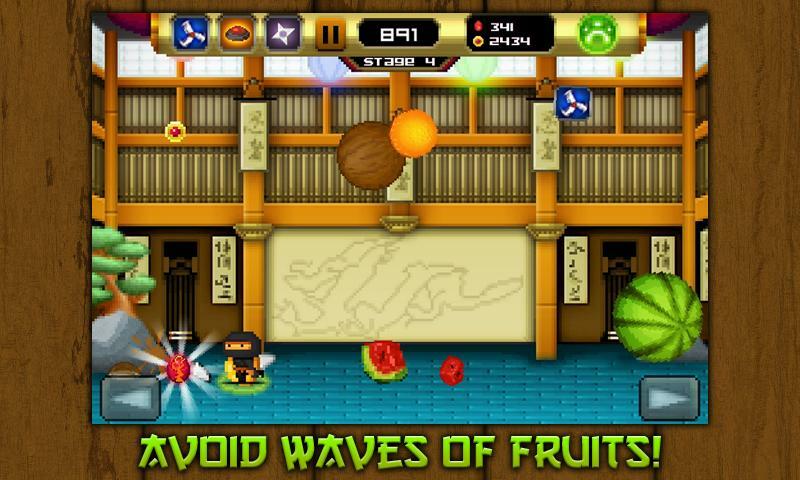 Meet 8bit the little ninja and help him avoid the angry crowd's fruit attack. 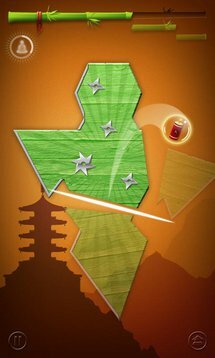 In this juicy ninja game, your goal is to survive as long as possible while avoiding waves of melons, coconuts, oranges, lemons and the ultra rare dragon fruits! 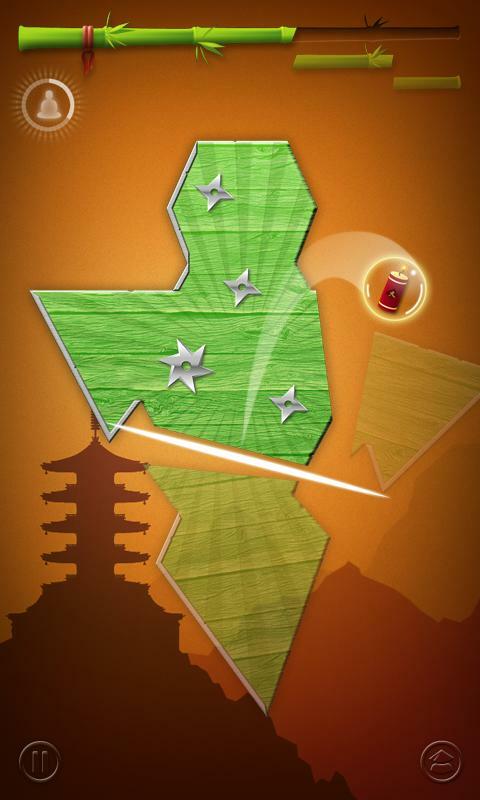 Use your ninja weapon arsenal to blow the fruits into tasty pieces. Yummy. 8bit is not alone in his quest, meet his friends each with unique abilities. 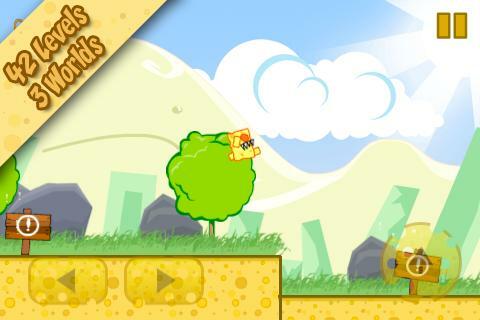 CheeseMan is a 2D Platformer where you play with that little piece of cheese called “CheeseMan”. 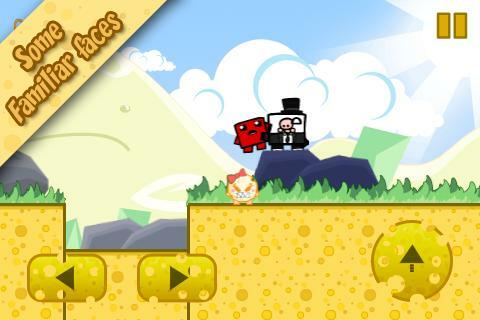 CheeseMan’s quest is to save the Cheese Land from the evil “Professor Mousky” with the help of “Cheesette”, a tough cheese girl who doesn't need a plumber to save her. 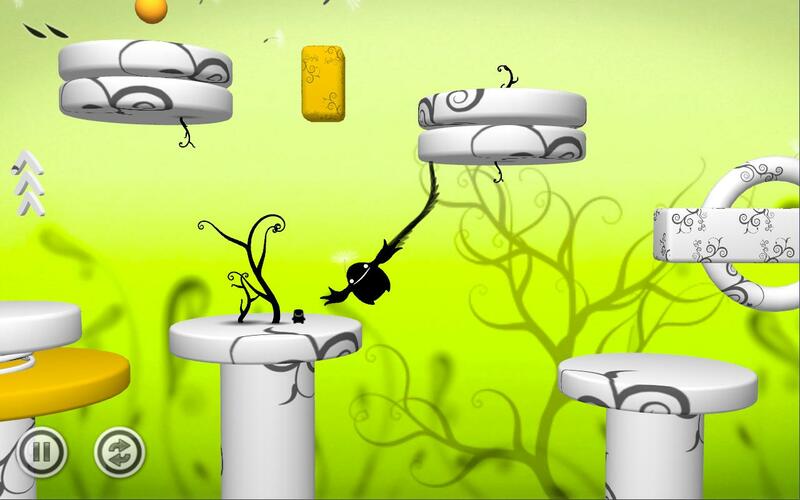 There are 42 fast-paced levels, divided in three worlds from veeery easy to veeery hard. You have to deal with spikes, saws, cannon balls and other nasty things. At the end of each world you will encounter a Boss that will peel your cheesy skin off if you're not careful. 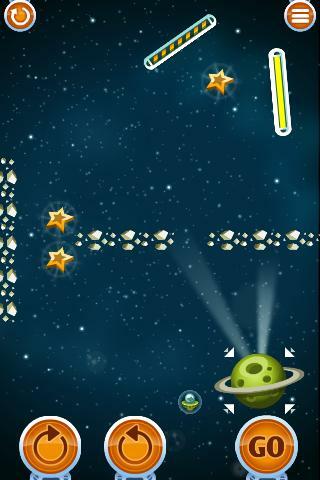 - 42 levels divided in 3 worlds. 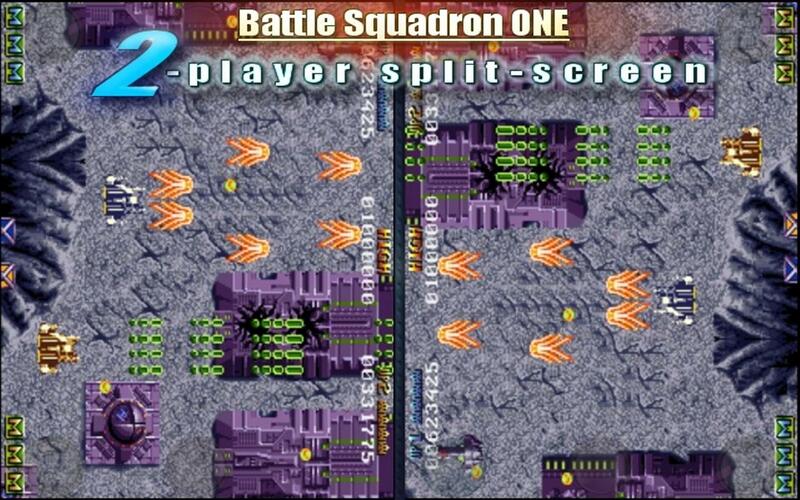 - Updates will be frequent ..
Battle Squadron, the legendary Amiga shooter, has finally arrived on Android. 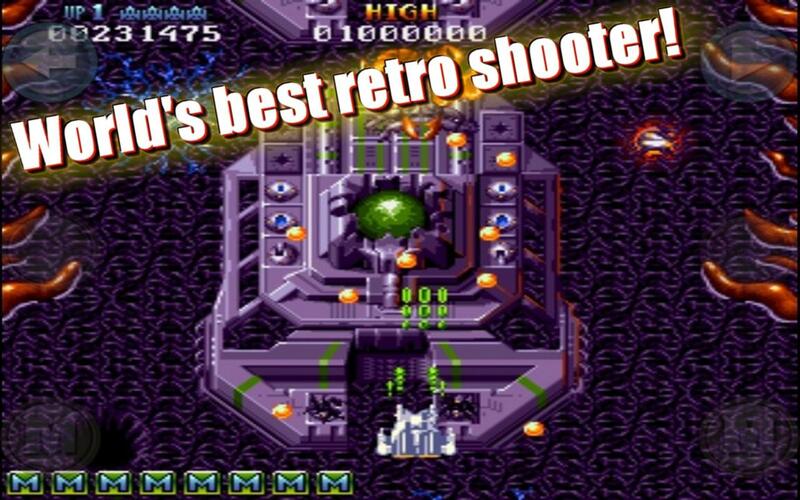 In 1989 it received an amazing 109% rating... in 2012 it arrives on Android, including world's first 2-player split-screen shooter on tablets. 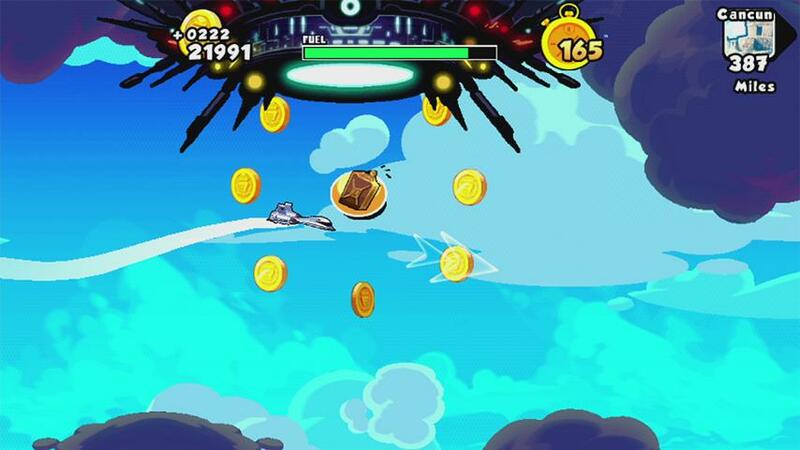 Your mission: Earth has been long at war with the evil alien Barrax empire, with extensive losses on both sides. 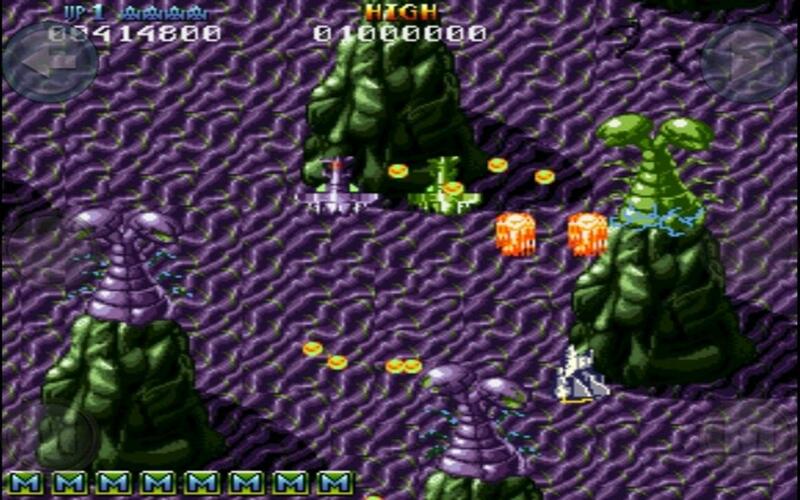 Your two fellow commanders, Mayers and Bergin, have been taken hostage by a Barrax Nova Cruiser and are held hostage on the alien Barrax home world, Planet Terrainia. 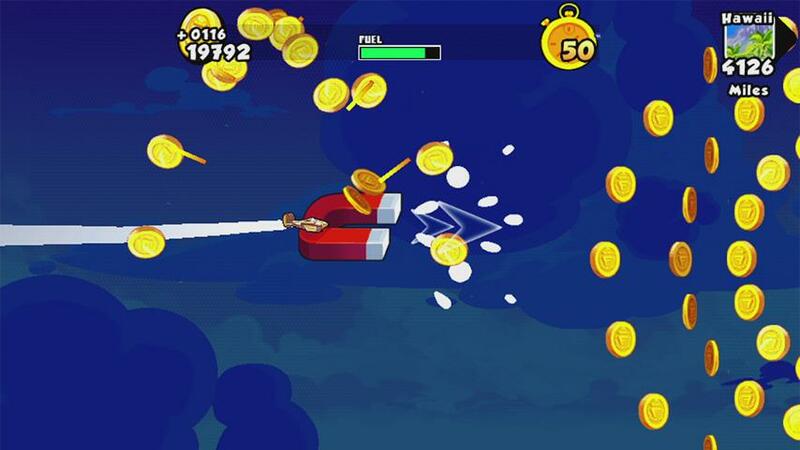 You must destroy the Barrax home world to rescue your fellow commanders. From the creators of GRave Defense. Joe's trapped in a cave and needs your help! 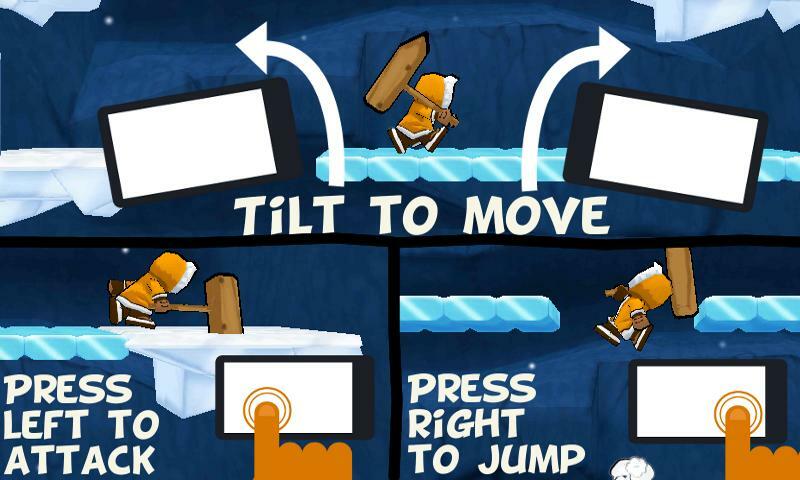 There's only you and your hammer -- so smash, jump and fight your way back to the sunny world. Go fast and don't make a widow of that pretty Eskimo girl. 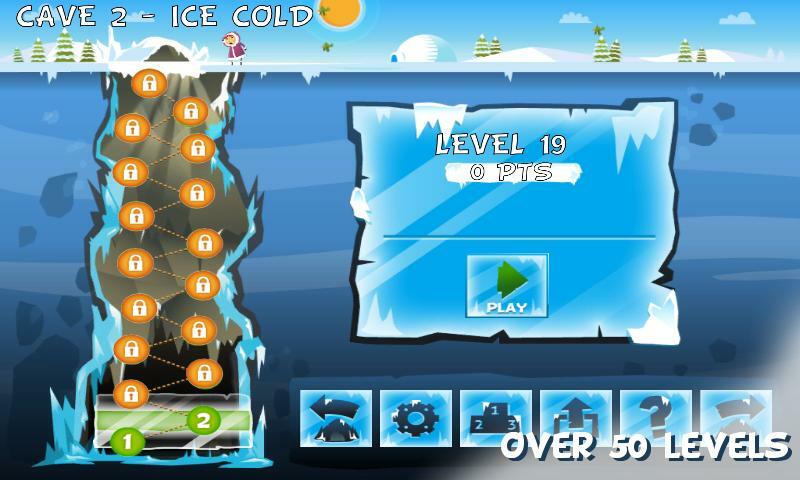 Icy Joe's inspired by a classic platformer with smooth motion control and over 50 levels. 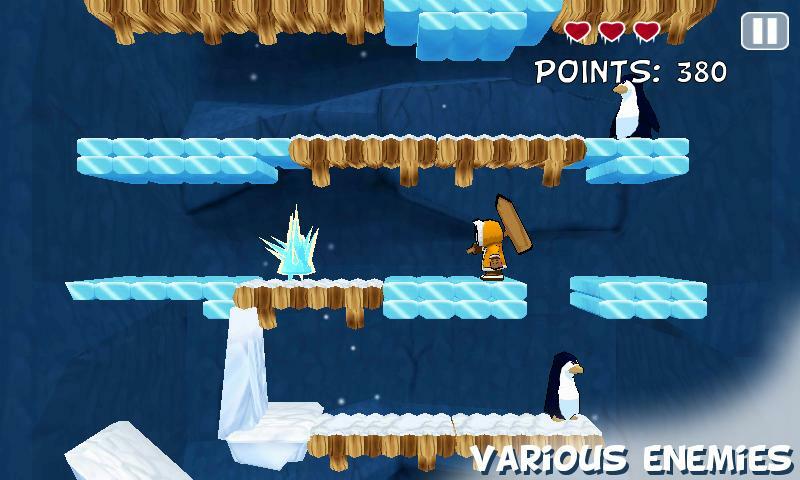 Each stage's got a fresh mix of bad guys, puzzles and challenges. Note: This is the phone version. If you want the tablet HD version, hit up this link. 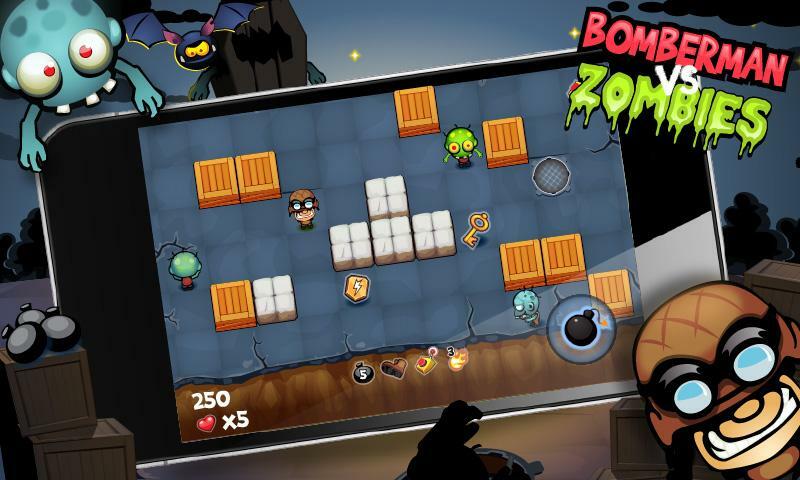 Bomberman vs Zombies irresistible game, from now on on your Android. 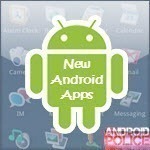 The Top game of BlackBerry is reaching Android. 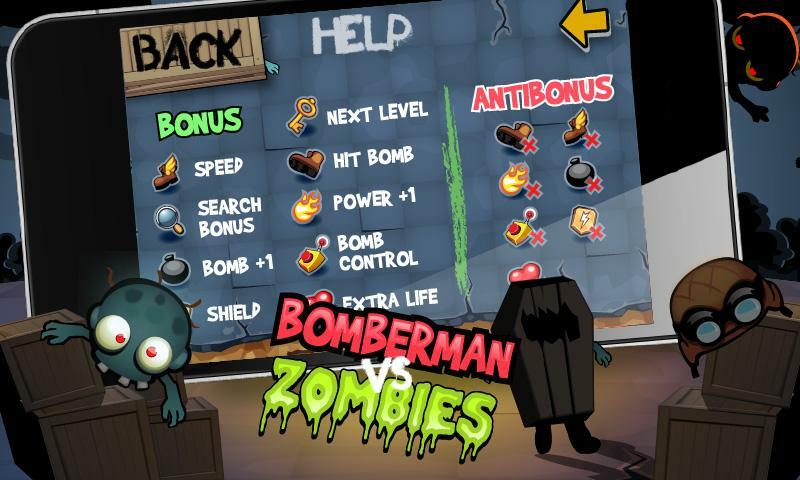 Action, explosions, zombies and a real Hero Bomberman. When darkness invades the Earth, and all people have dreams of a better world, Zombies take the floor. Step by step, night by night, they realize their dark plans. 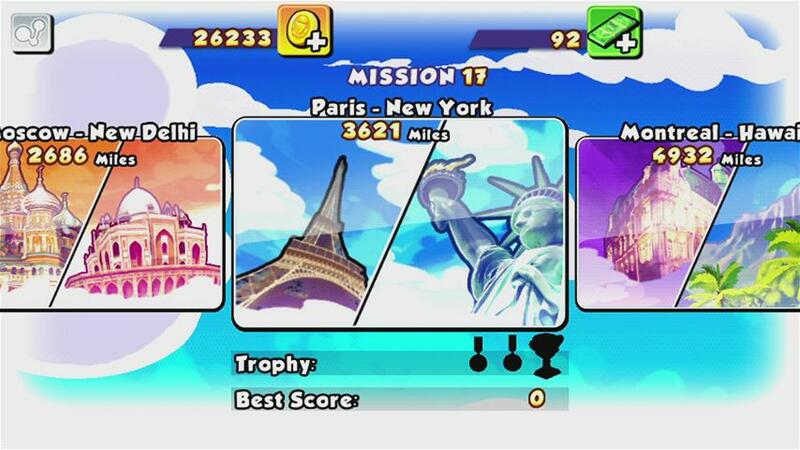 The World could have turned into Zombieland, but Bomberman was prepared to save the Planet. 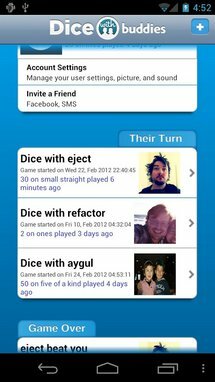 - OpenFeint Leaderboard and Achievements. This is probably the most complex tower defense game I've ever played. Doesn't mean it's bad - it's just... different. Very different. 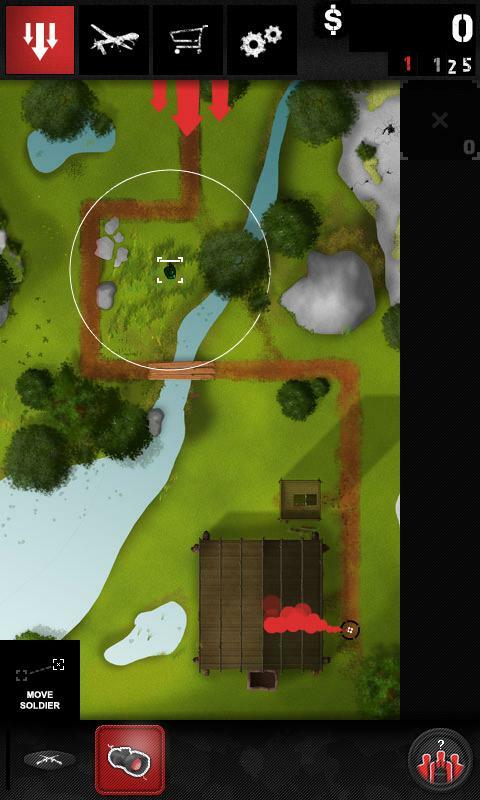 A military tower defense game set in the modern era. 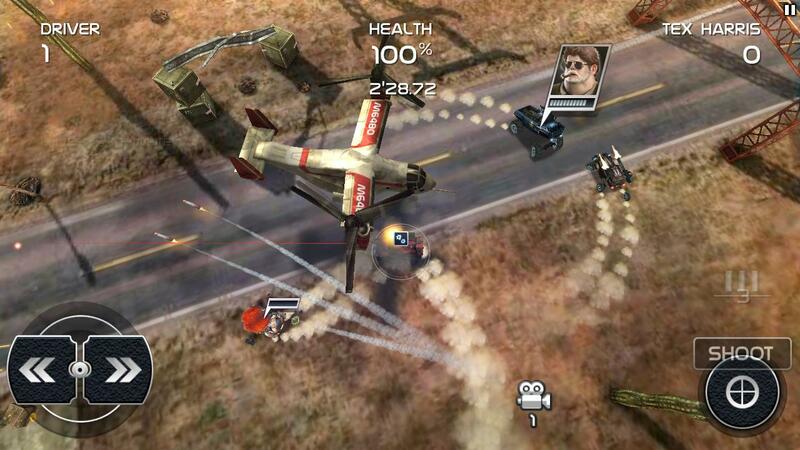 Engage the enemies in rich environments with 4 different infantry and 4 armored vehicles including a tank and a helicopter, all 8 of them using unique player controlled abilities, ranging from well placed sniper shots to all out artillery strikes that will change the outcome of any battle. Can you master all 95 waves without losing a single hostage? * 8 unique soldiers and vehicles ready to fight for your cause. 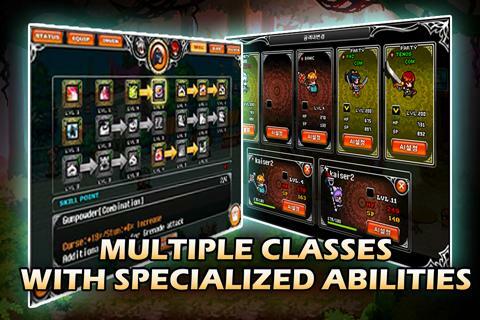 * Engage in battle yourself by using special abilities to take out enemies. * 95 waves over 3 levels that gets bigger and better. 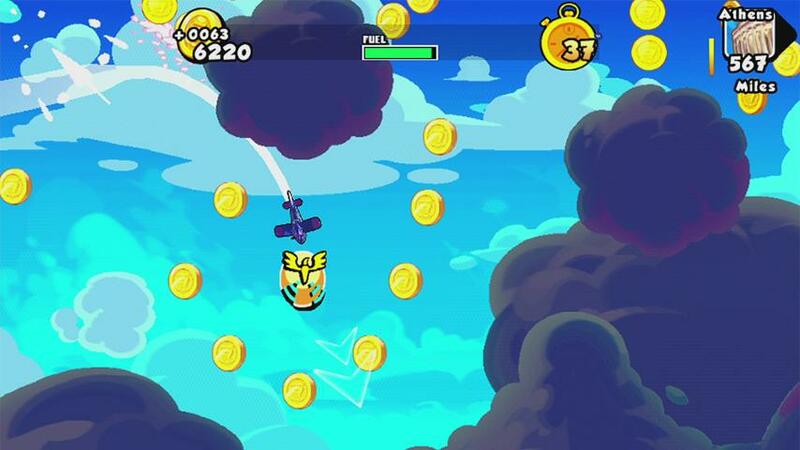 * The game autosaves each wave, so it's easy to pick it up at any time. I have no idea why this is such a popular and interesting game (it's all planning and no traditional football/soccer), but apparently it's hugely popular outside of North America. 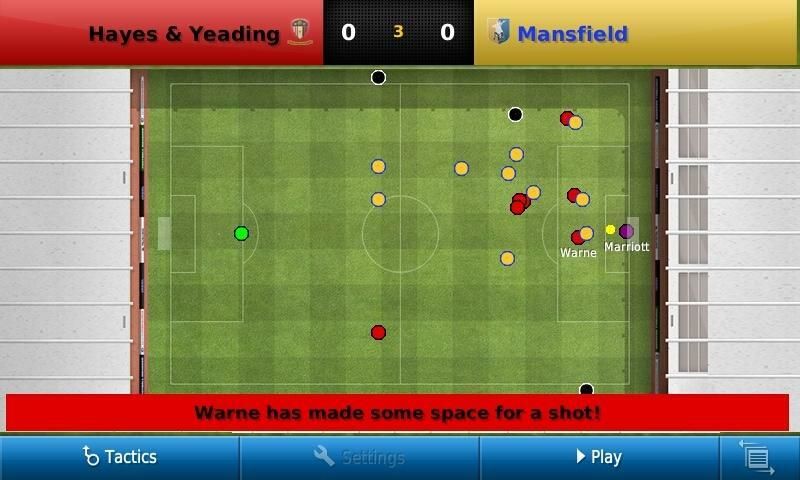 The World’s best-selling Football management game comes to Android. 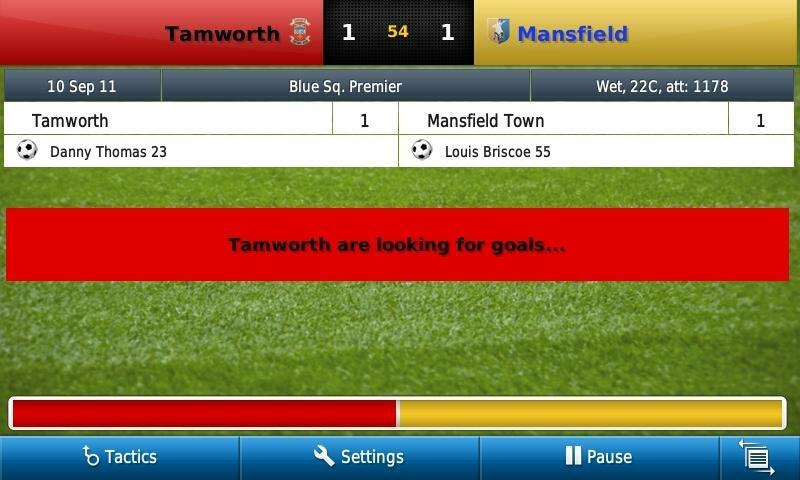 Football Manager Handheld™ 2012 allows you to take control of the greatest job on earth wherever you are and whenever you want. YOU make the difference. 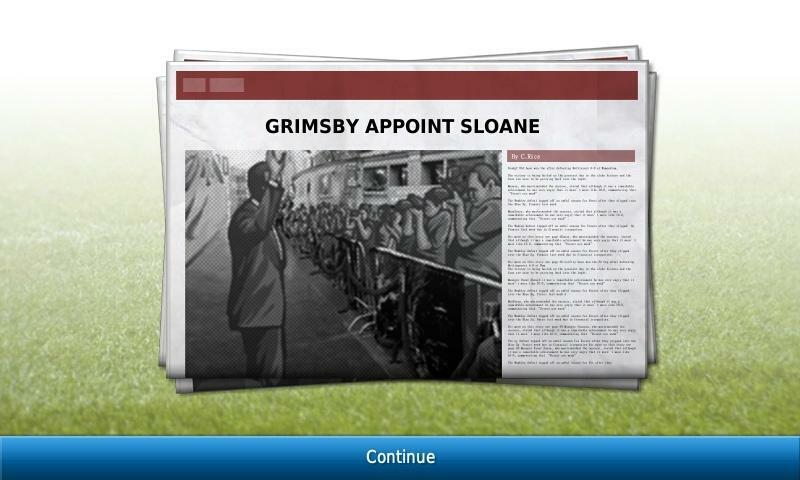 Take the hot-seat at any club from a choice of leagues in 12 countries, and assume full control of transfers, training, tactics and managing your team live during matchdays – a job which can be tackled in either short, commute-sized sessions or in mammoth sittings on the sofa. 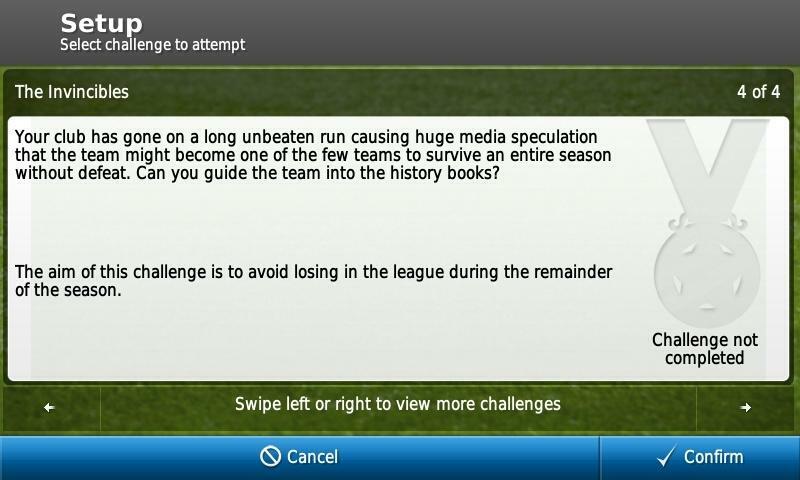 There’s an experience for everyone as fans can choose to pursue an entire career in a particular country’s league or face up to the handheld-exclusive ‘Challenge Mode’ which offers a particular short-term scenario with a clear goal to be achieved. Whichever mode is chosen, the manager will deal with real-life situations involving real players, as researched by Sports Interactive’s huge global scouting network. 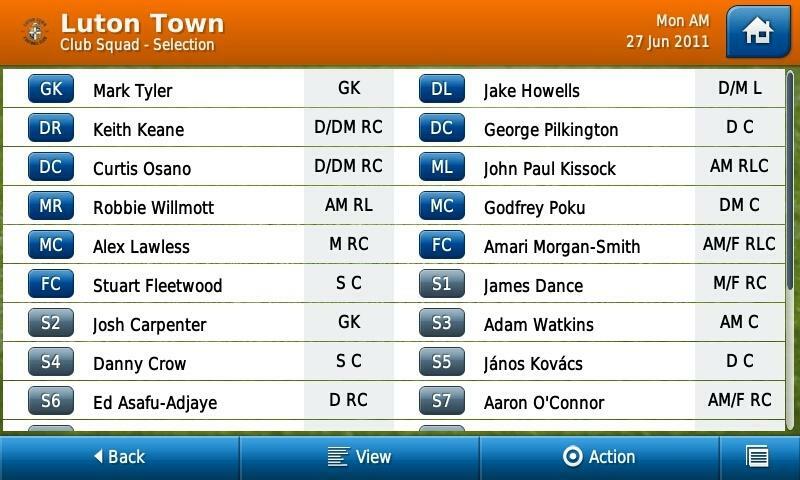 The 12 countries with playable leagues in Football Manager Handheld for Android are Australia, Belgium, Brazil, England, France, Germany, Holland, Italy, Portugal, Scotland, Spain and Wales. 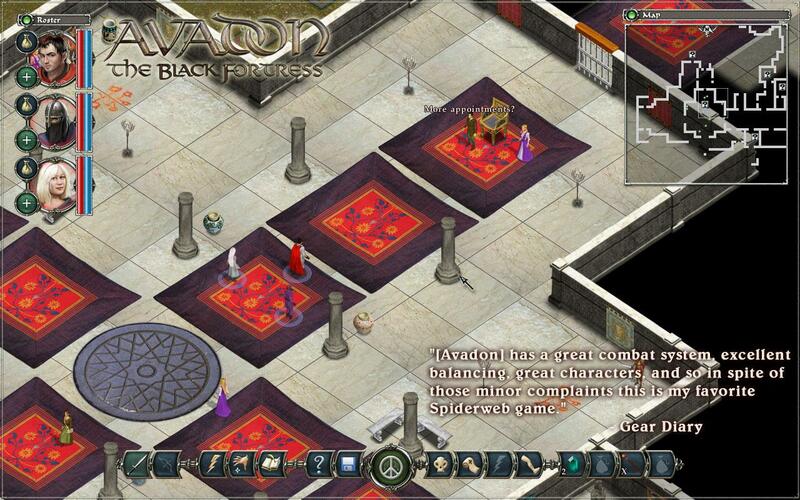 Avadon: The Black Fortress is an epic, old school fantasy role-playing adventure, with a fascinating story and 40+ hours of gameplay in glorious HD. 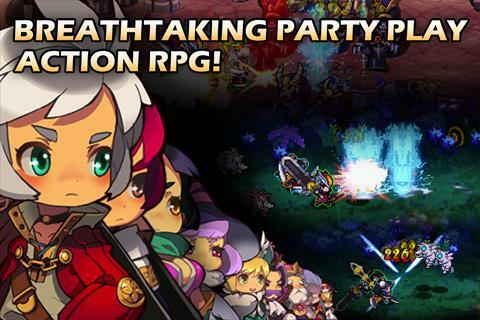 Experience huge adventures, cunning foes, hundreds of magic artifacts to find, and countless enemies of your people to hunt down. Avadon is the first chapter in a new, epic fantasy saga. 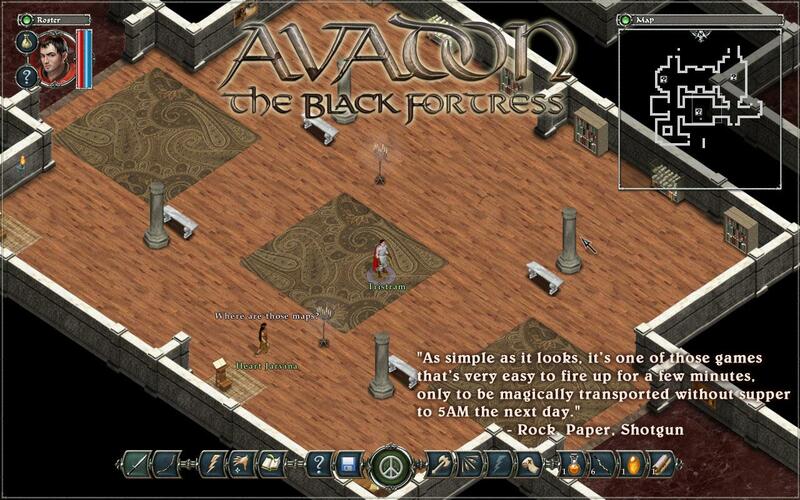 You will serve the keep of Avadon, working as a spy and warrior to fight the enemies of your homeland. 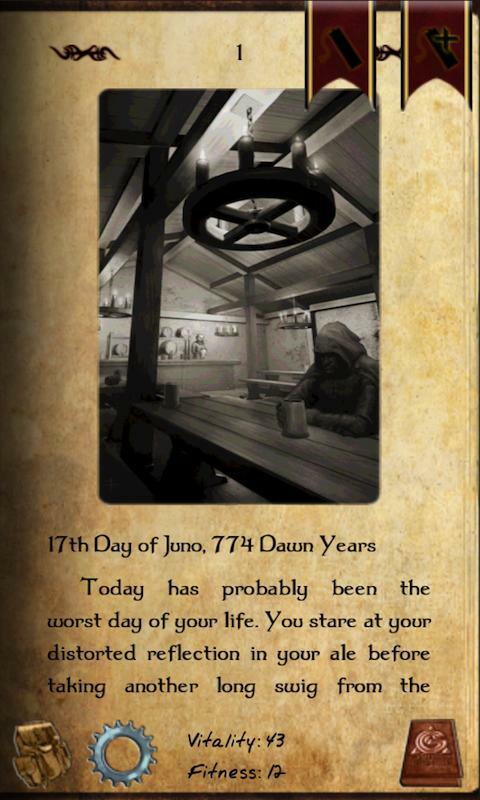 As a servant of the Black Fortress, your word is Law. 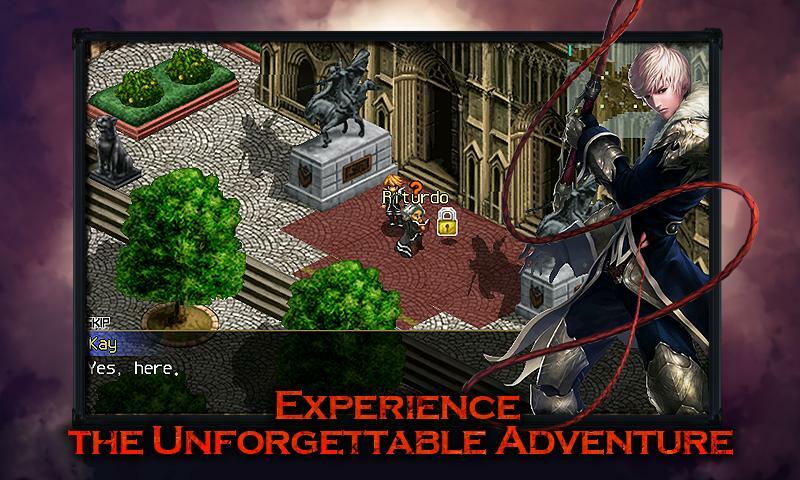 Experience an exciting fantasy role-playing adventure and battle a conspiracy to destroy your people. Galaxy Pool is an addicting new physics based game, crafted for players. Get ready to Blast And Bounce your way through stars in the Galaxy Pool - "reversed snooker" challenge. 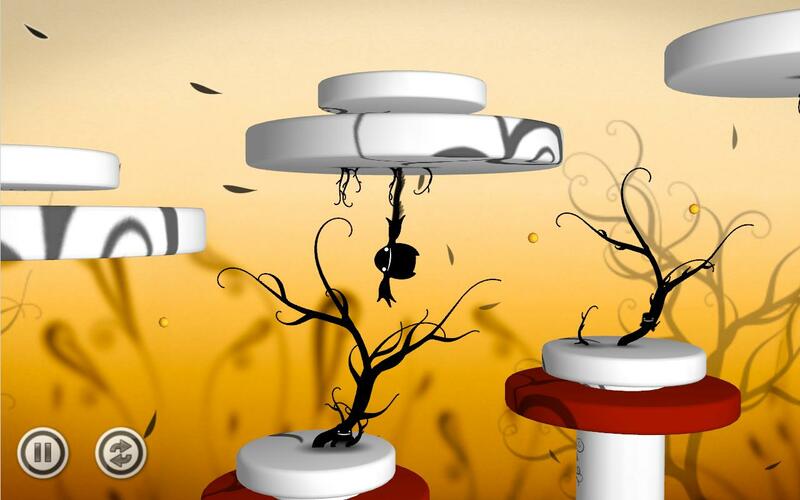 - 50 beautiful levels, divided into 2 worlds. 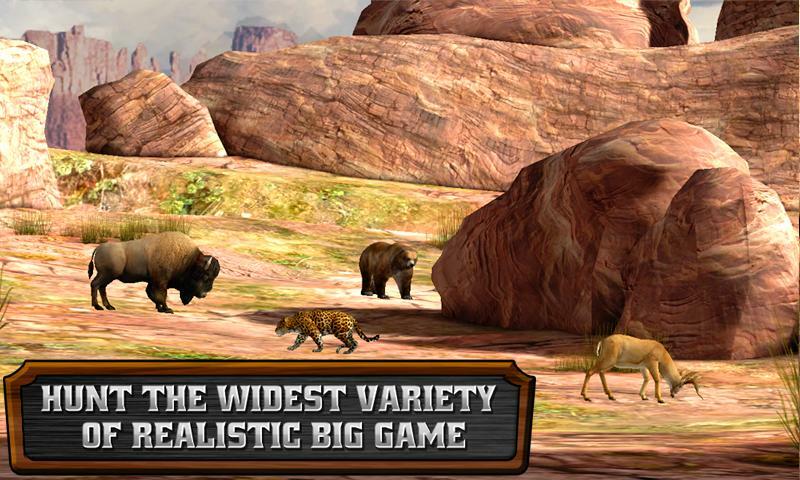 - Astonishing cartoon graphics and soundtrack. 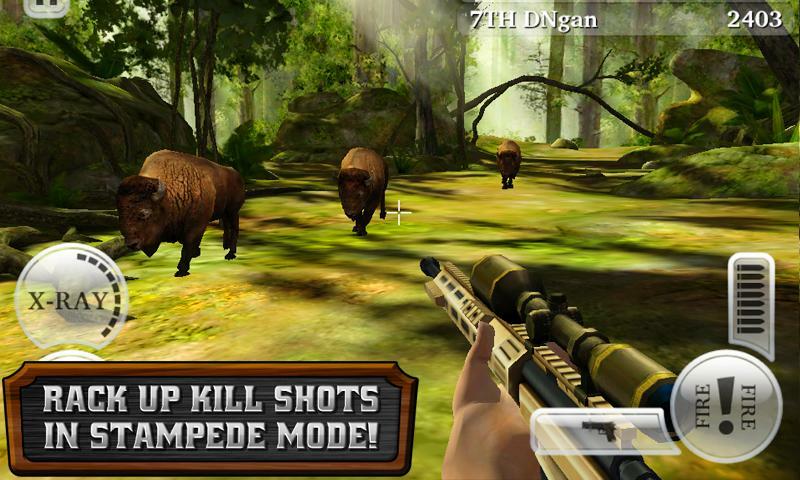 - State of the art crafted User Interface, designed to provide the best game experience. - Gradually increasing difficulty level - it's always fun to play "Just one more!" - Ever mind challenging level ideas. 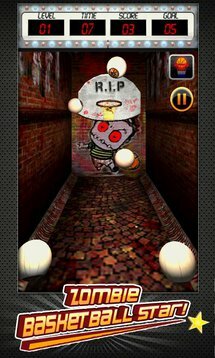 - Each level being more interesting and challenging than another. 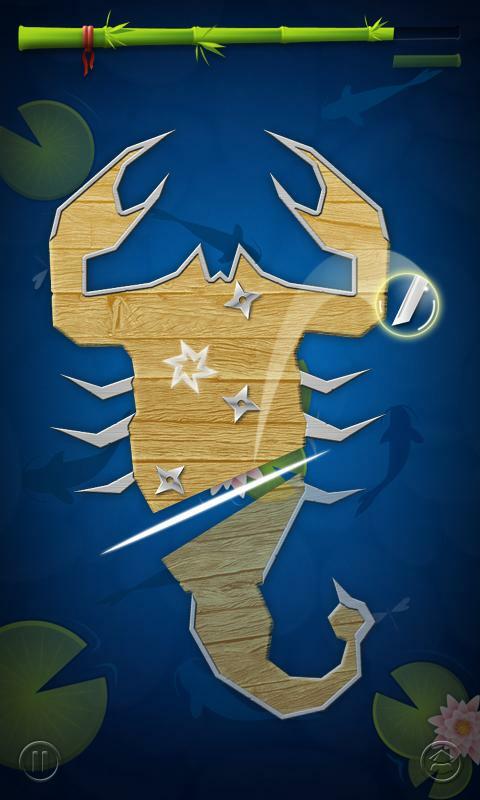 Shake Spears is a game of GLORY, HONOR, and FAME. 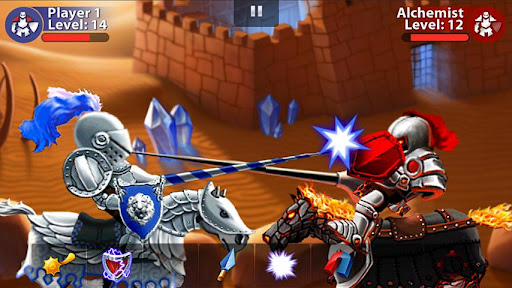 Become a valiant knight and enter tournaments to compete for the heart of a beautiful lady. Travel through four worlds of wonder, win battles in 20 cities, and beat challenging bosses in this epic game. It's time to become a hero for the ages. 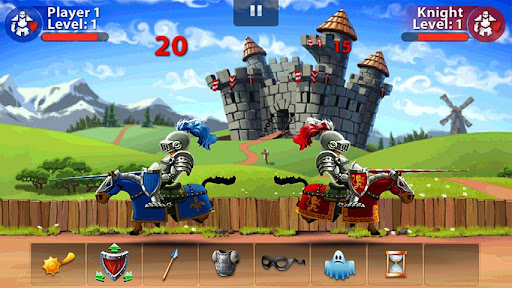 Take out opponents with well-aimed strikes in knightly competitions of strategy and precision! Only a steady hand and a trusty steed can guarantee your victory! 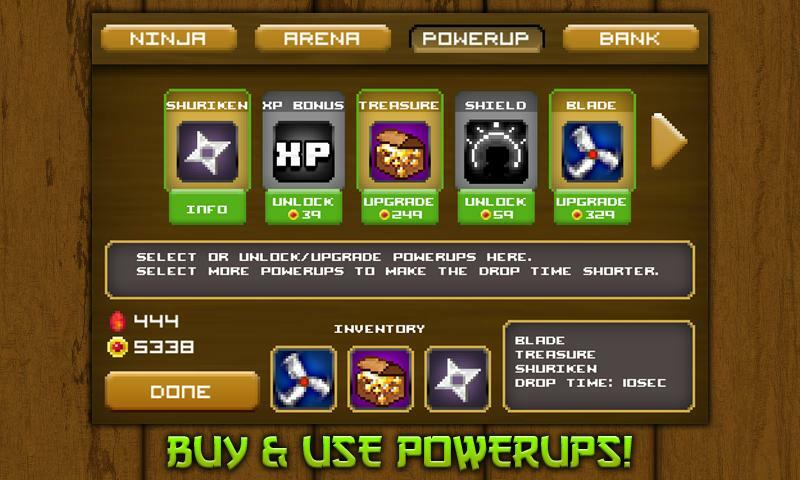 Upgrade your skills, armor, and weapons, and remember to use a dash of magic to overcome your enemies. Will you answer the call of destiny and become the most honored knight in the land? Fangs, blood, and super speed... 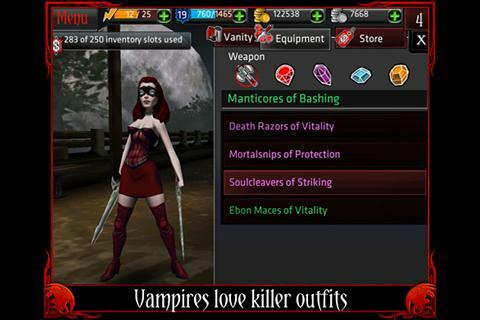 Dark Legends is a free vampire horror MMORPG. Rise And Join The Vampire Nation. 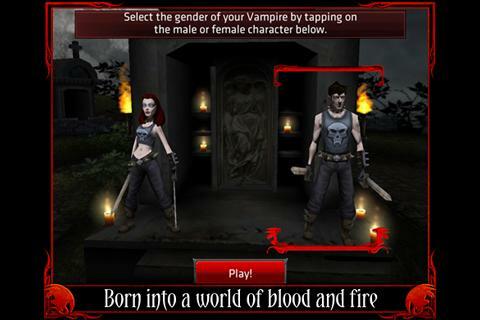 Sink your teeth into the mobile and desktop vampire world Dark Legends for FREE. Since time immemorial, the Vampire Nation has survived in the shadow of human civilization as a rumor and a whisper. A new light, fueled by technology and mass communication, has appeared and revealed the true existence of vampires to the world at large. Now, the Vampire Nation is desperately hunted by fearful humans that have turned to technology and the Dark Arts. In Dark Legends, YOU rise as part of the Vampire Nation and fight to survive against a world that has turned against you! Use your supernatural strength, incredible speed, and powerful fangs to enforce your will. 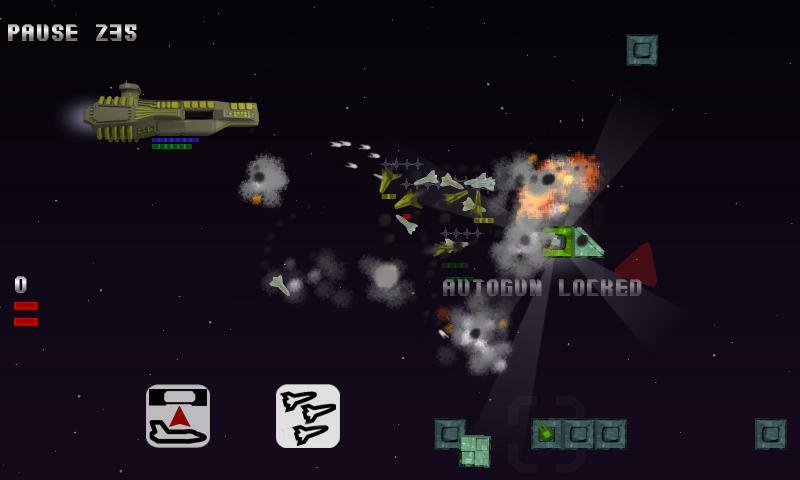 Direct a swarm of fighters to defend your space carrier. 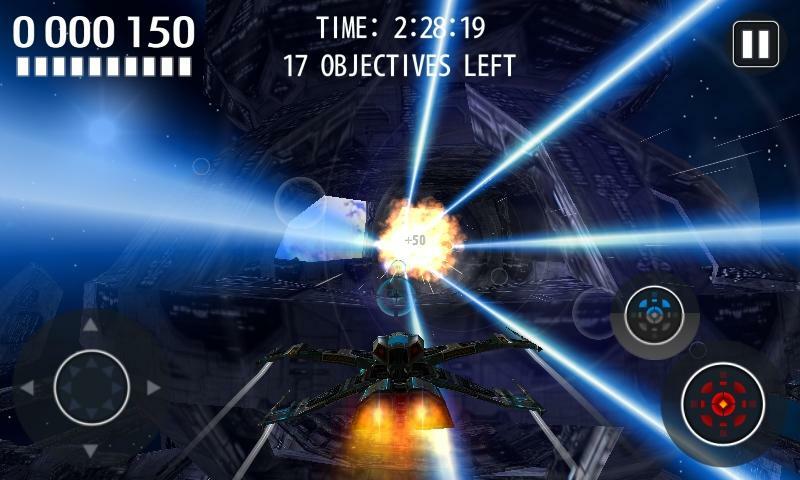 -Launch up to fifteen fighters in a frantic battle against non-stop enemies. 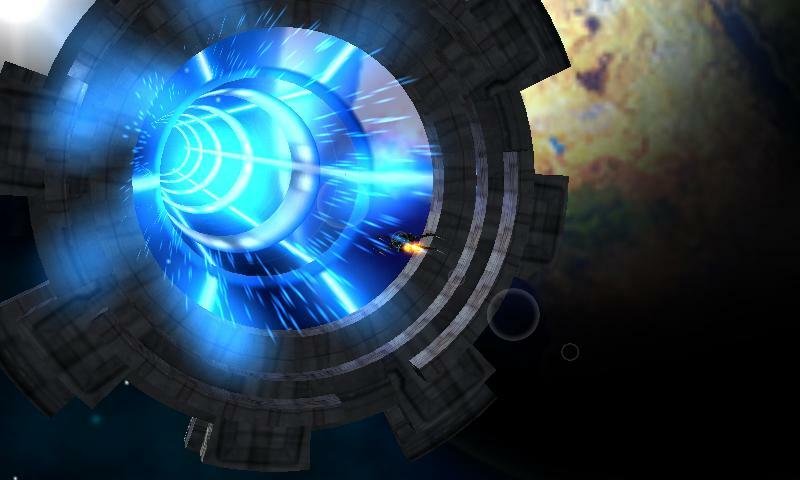 -Use one of four different special carrier abilities, such as a superlaser or missile salvo! 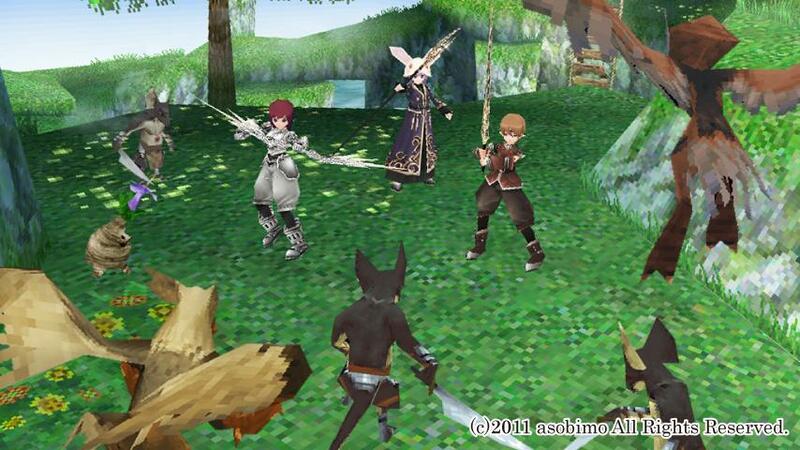 -Fighters gain experience and special abilities of their own. 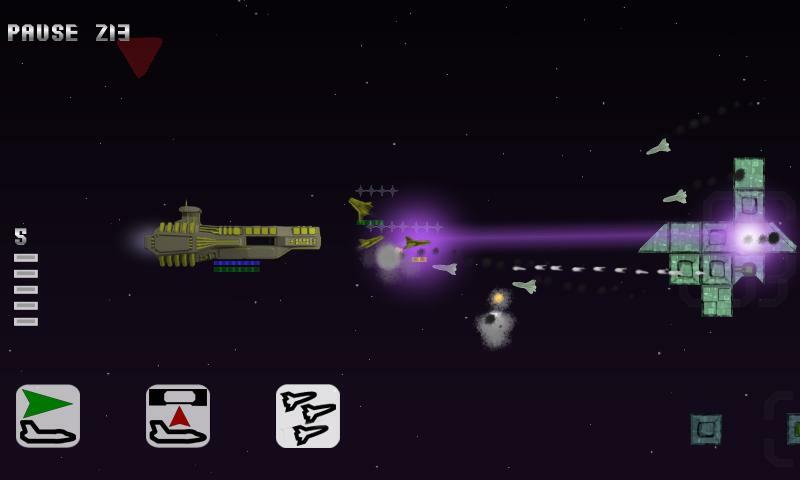 -Upgrade your carrier and fighters in seven different stat areas. 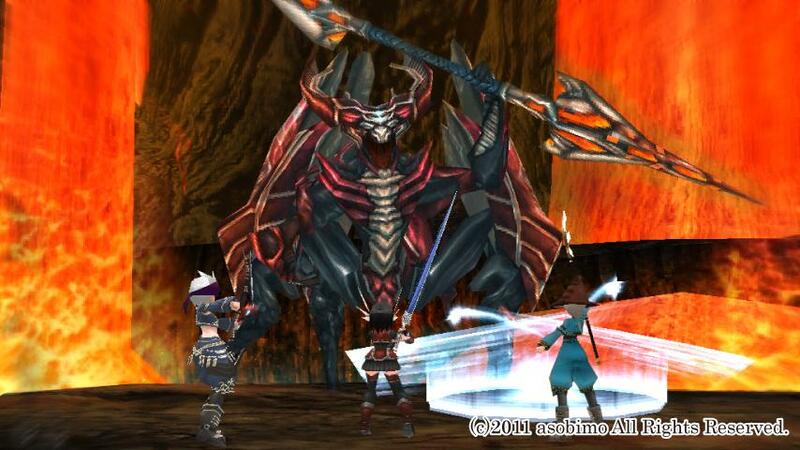 -Generated bosses are different in every playthrough. -Battle other players' saved carriers in Challenge mode! 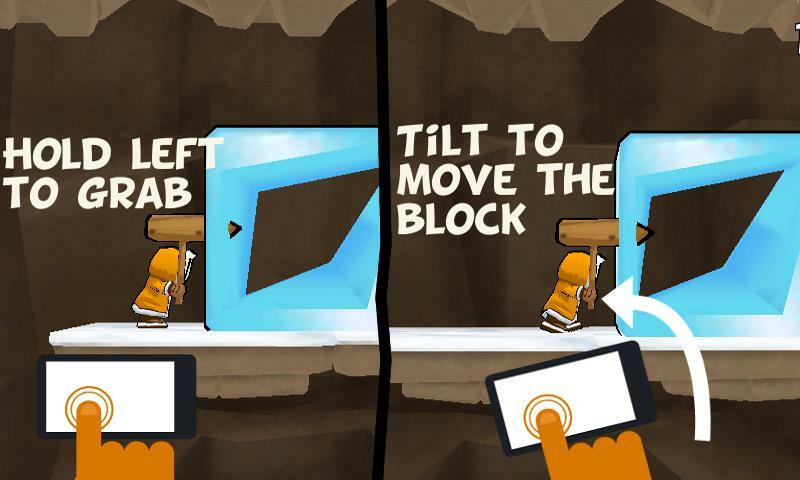 -Move your game between devices using online saves. 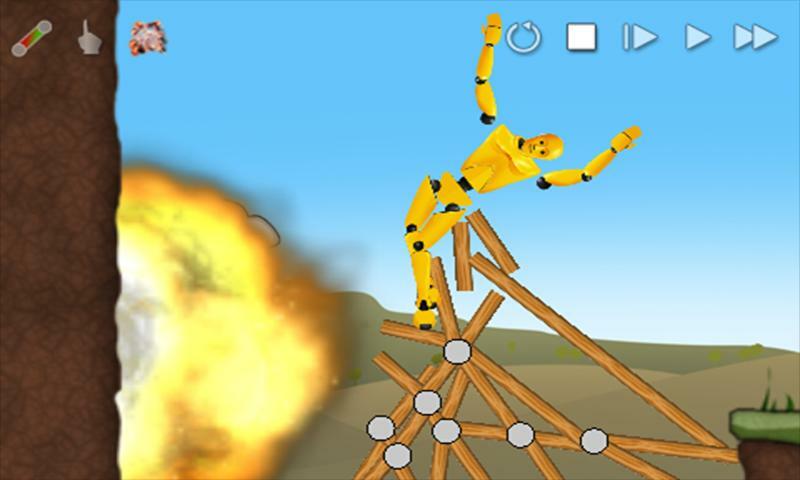 Discover the new benchmark for physics puzzle games. 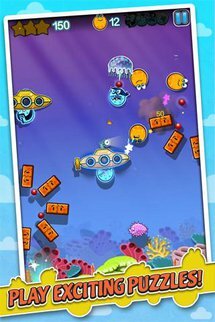 Shark Dash is a highly addictive game that takes the physics puzzler to fun new heights with a unique cartoonish style starring funny little bath toys. Sharkee and his merry band of toy sharks were living happily in the bathtub. That is, until a bunch of mischievous ducks came along to ruin their peaceful little world. These cheaply-made rubber duckies are a little loopy from the chemicals they are made of, and now they’re teasing the sharks, playing pranks like they owned the place! But when the ducks kidnap Sally, Sharkee’s girlfriend, that’s when Sharkee and his buds have had enough! 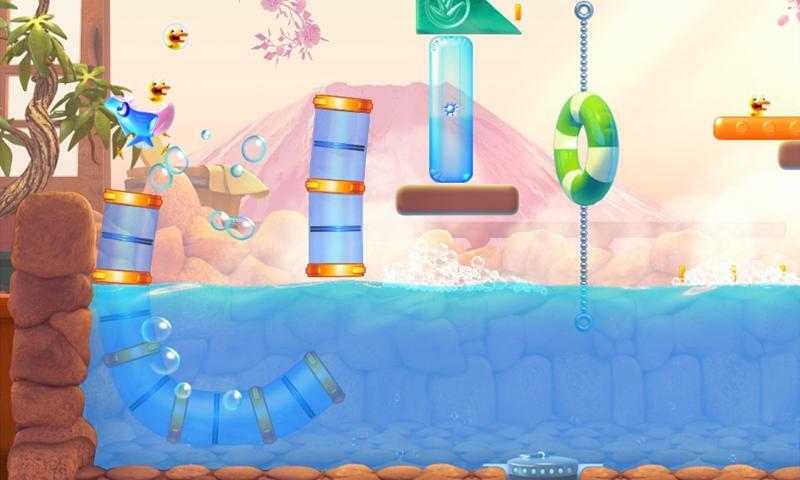 Join a wild journey to tricky bathtubs around the world, save Sally and get rid of the dimwitted ducks. 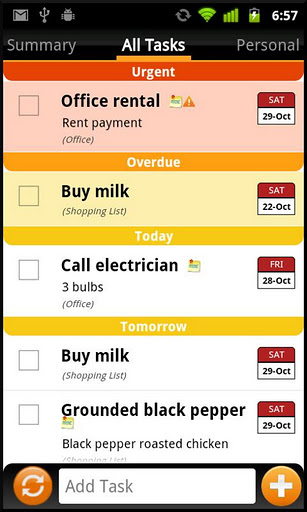 This is the original, now on Android. All others are imitations. 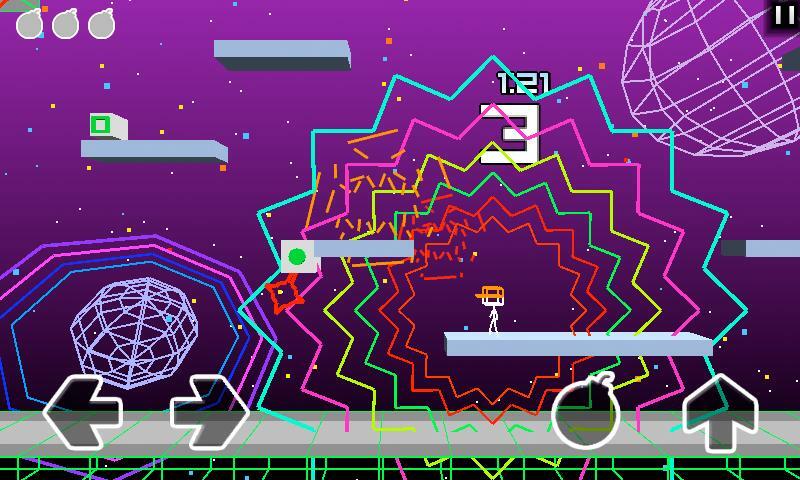 iSlash is an addictive slashing puzzle where your finger is your weapon. 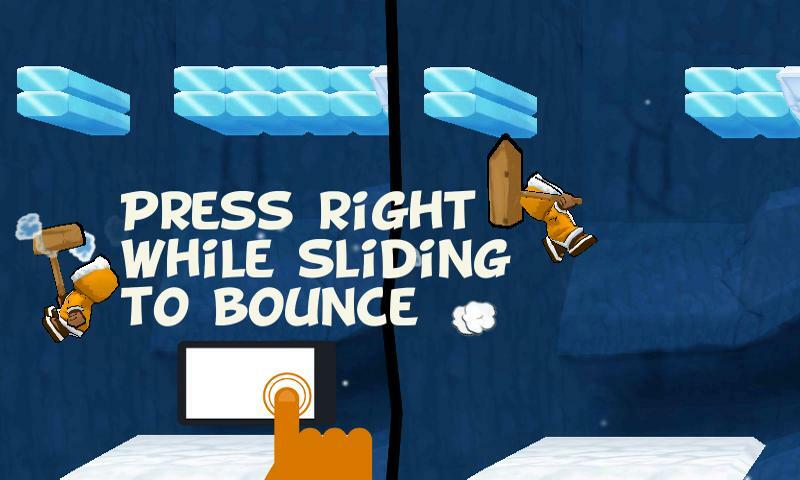 Swipe to slash your way through 100 amazing levels(more to come for free). Keep an eye on the ninja stars; some are fast, some are ghosts but all are deadly. 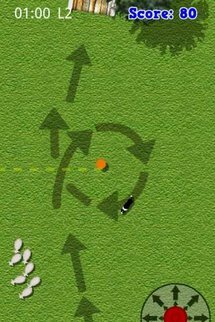 Destroy most of the play-shape and you'll advance to the next one. Open your ninja senses and let the fun begin. Meet the Scramblies! 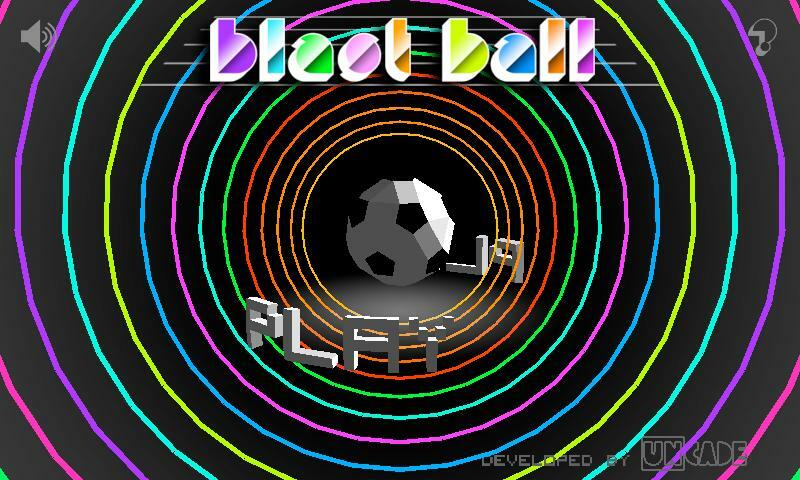 ...the most eggcellent new game from Full Fat. 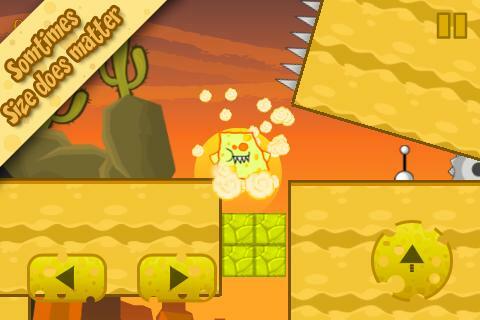 Bad Eggs have invaded the colorful world of Scramblies and only you can save the day. 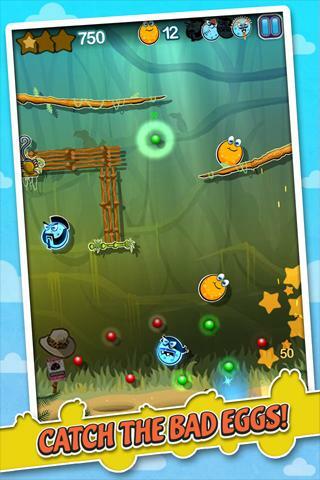 Bounce your way through 75 levels to catch the Bad Eggs and score high. 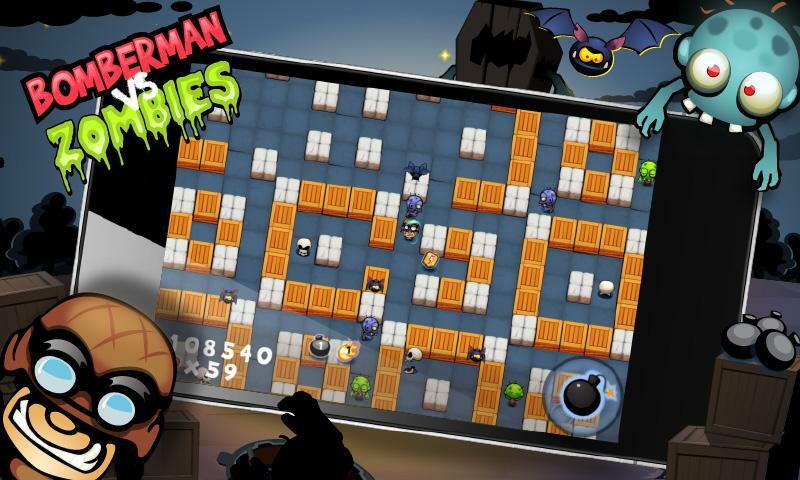 Every touch of your screen will send Scramblies raining down on the baddies, with pins to hit, Scramblettes to rescue,obstacles to demolish and puzzles to solve. 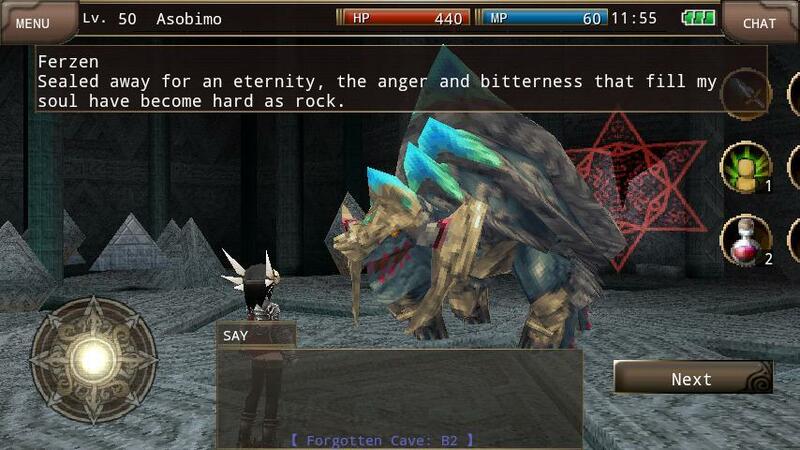 Beautiful 3D world with vast adventure (MMORPG) online RPG. 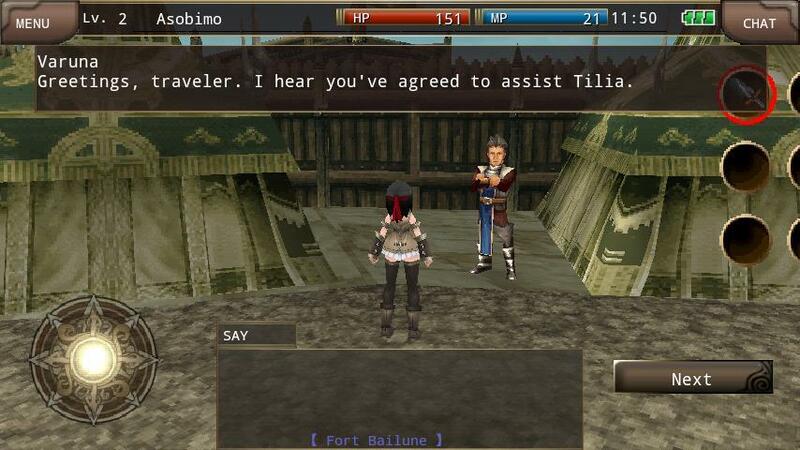 "Iruna Online" is the number one online RPG (Ranked 1st in the RPG category in dmenu run by NTT DoCoMo, Inc., the company of the number one share for mobile devices in Japan) for mobile devices played by more than one million users in Japan.“Iruna Online” features 3D graphics, cooperative play, and chatting just as in PC online RPGs. 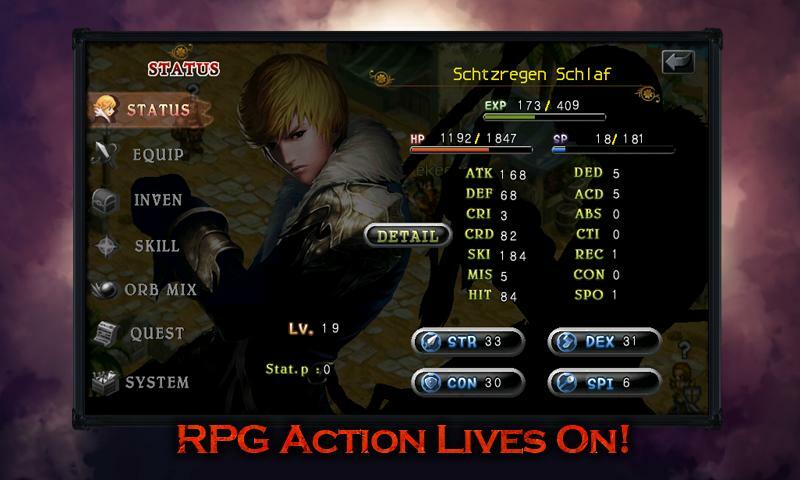 Experience the exciting adventure in your smartphone with players all over the world. Colorful time-twisting casual RPG, Elphis : Adventure. 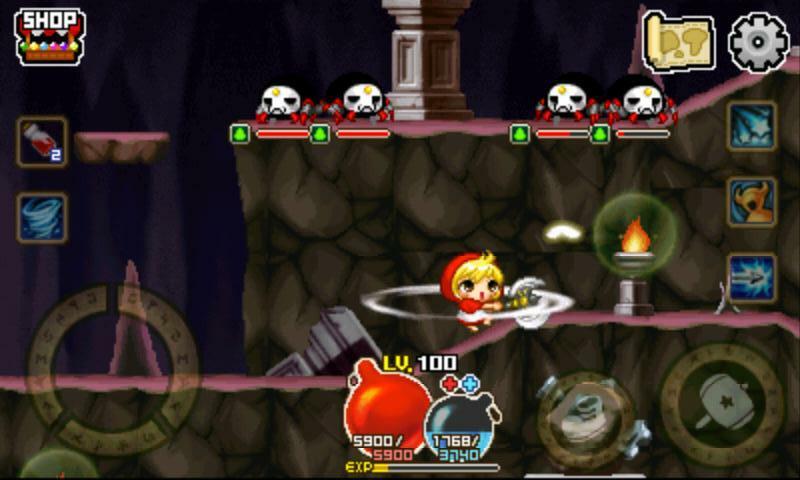 Red Riding Hood + Jeanne d'Arc + Liu Bei = Elpise?! Crazy yet intriguing. Scenario definitely differentiated from other time-traveling stories. 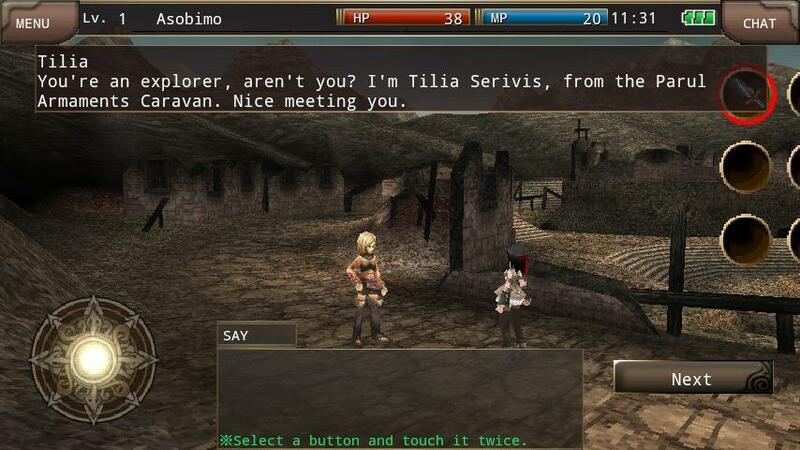 Roam inside fairytales, historical times, and other fantasy periods in Com2uS' casual RPG "Elphis : Adventure". The Engrish in the description nearly killed me. 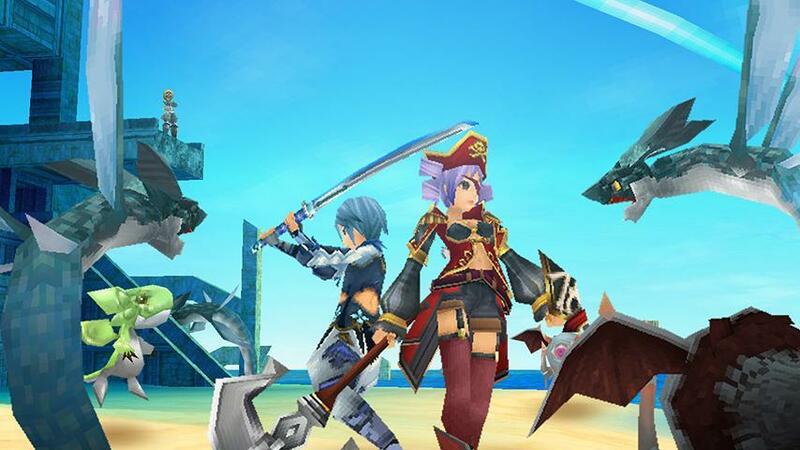 "Celes Arca" is a online RPG (MMORPG) enjoyable by making your own character with combinations of abundant avatars and equipment. 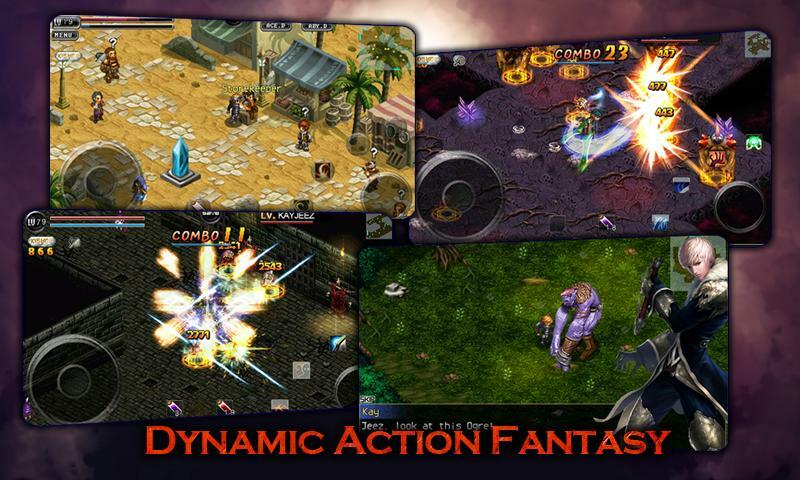 Full 3D beautiful graphics and real time communications such as simultaneous cooperative play and chat as in PC online RPGs can be enjoyed. Battles with full impact and vast worlds. 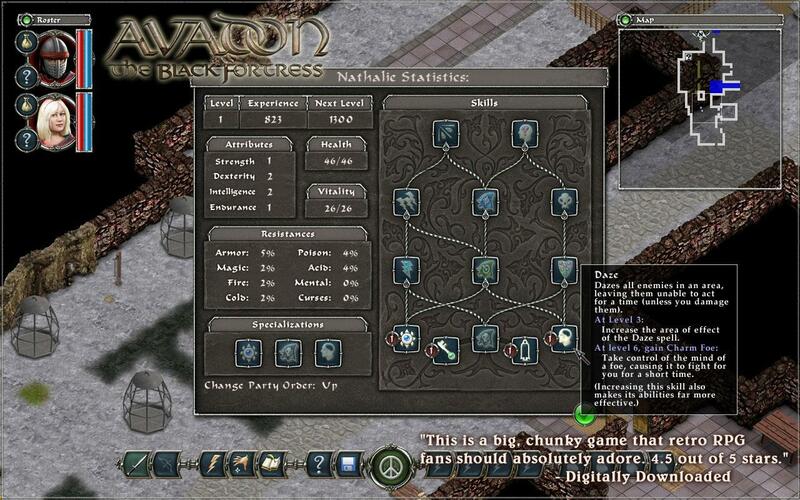 Lets go out to an adventure to the fantasy world connected online worldwide. Note: If you live outside of North America, use this link instead. 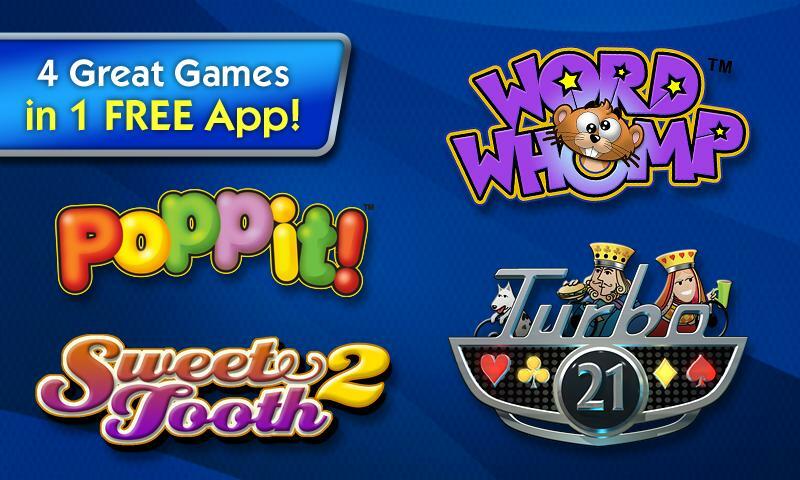 Join millions of POGO players and enjoy FREE puzzle, word, and card games like Poppit!™, Word Whomp™, Turbo21™, and Sweet Tooth 2™. 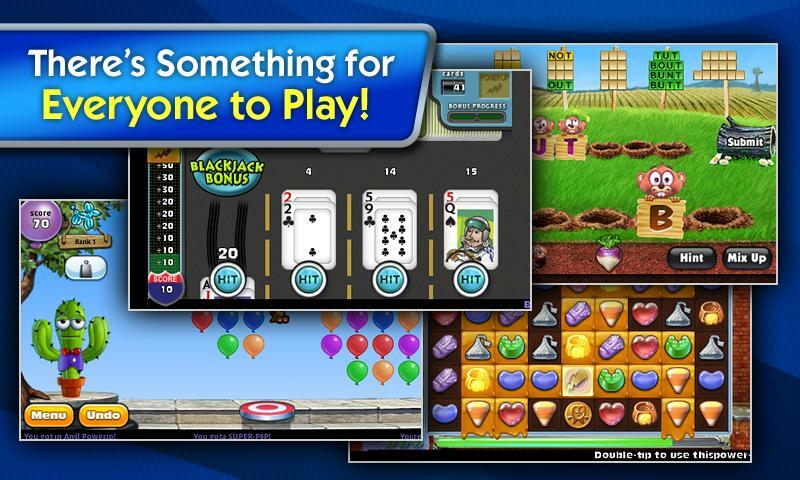 Premium Players and Club Pogo Members can also unlock a BONUS game – World Class Solitaire. • POPPIT! – Pop ‘til you drop! Release hidden “prizes” by popping groups of two or more balloons of the same color. • WORD WHOMP – Show the gophers who’s the real wordsmith and spell as many words as you can before the clock runs out. 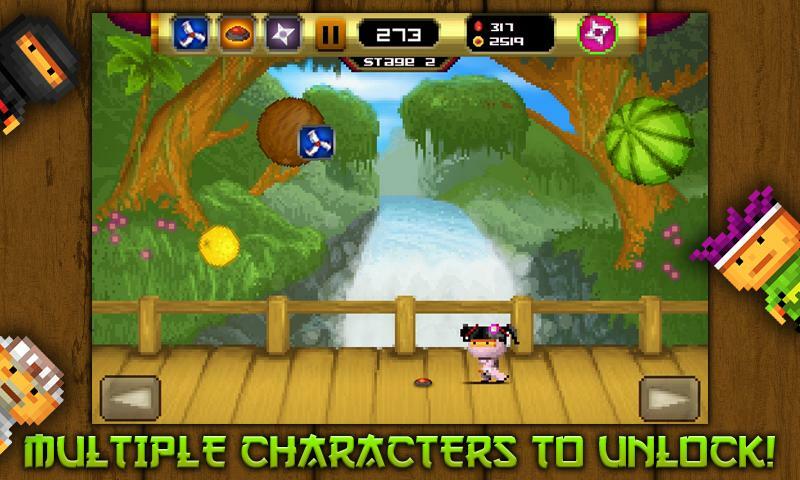 • TURBO 21 – Enjoy this fast-paced, black-jack inspired card game that puts you in the driver's seat. 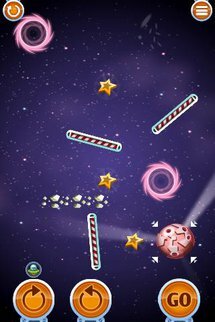 • SWEET TOOTH 2 – Match three or more sweets in a row to score! The thrilling crime story continues! Are you ready to return to Mysteryville? Brave and talented journalist Laura Winner returns to the small town that everyone remembers from the award winning game Mysteryville. And once again she finds herself at the epicenter of a scandal. She plans to take a vacation and relax with her friend Bill Witowsky and ruined when she arrives to find that Bill is missing. She starts her own investigation and also discovers that the town’s new priest is about to organize an art and jewelery auction, something rather unusual for this small rural local. 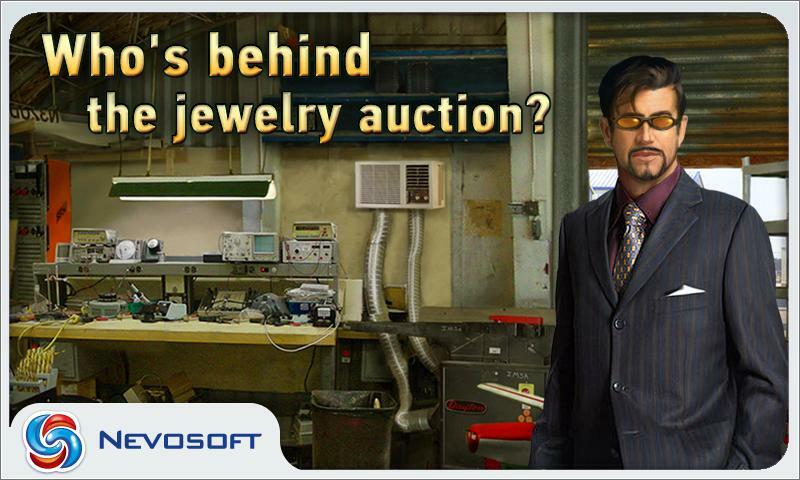 Could Bill's disappearance be somehow linked to the auction? It's up to Laura to find out. 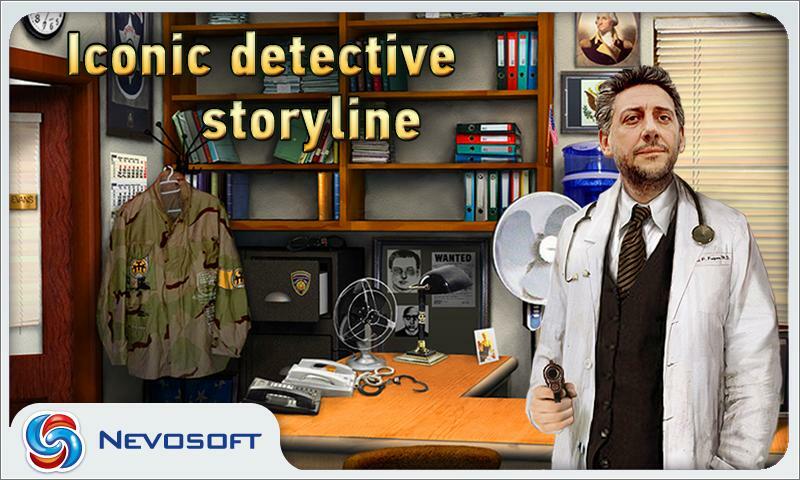 Search for and find all the clues to help you solve the case. Pieces of paper become important evidence, and a mysterious anagram will help direct your investigation. The most important thing is not to waste any time, Mysteryville won’t be safe until you solve the case of Bill’s disappearance. It's a book. It's a game. 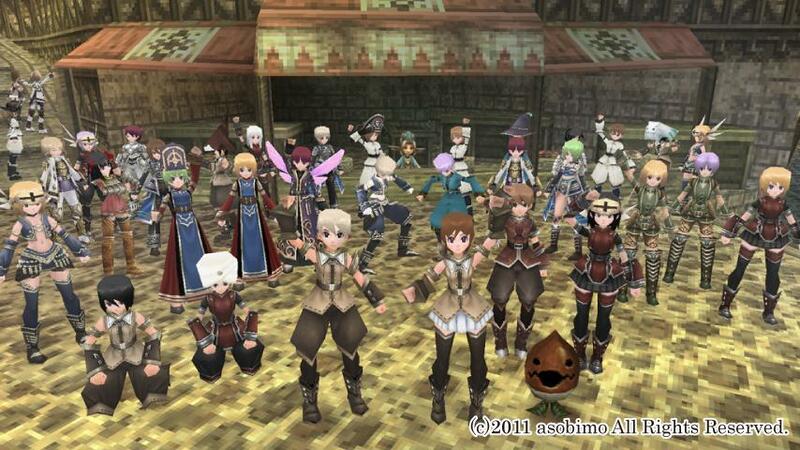 It's an RPG. Choose your path .. Roll your fate. An interactive fantasy adventure! 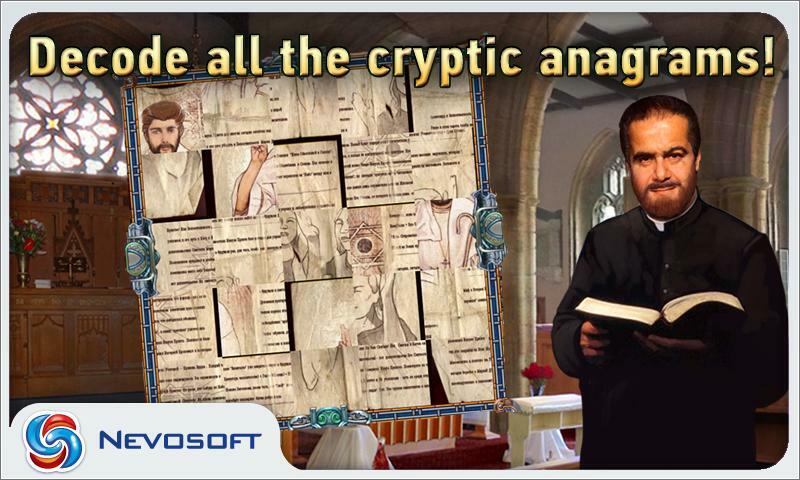 It's a Gamebook Adventure. First in the series of critically acclaimed interactive fantasy gamebooks in which you, the reader, control the direction of the story! 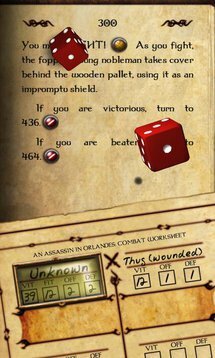 Along with a realistic dice-based battle system to fight creatures, a great story and beautiful artwork, An Assassin in Orlandes will give you many hours of gamebook adventuring. Set within Orlandes City, nobles are being systematically murdered by a ruthless assassin no-one seems able to catch. Finding yourself thrust in the middle of a large conspiracy, you must make decisions that may put yourself and one other most precious to you in great danger. 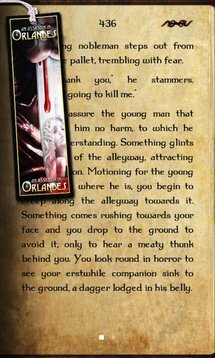 Can you locate the Assassin in Orlandes before it is too late? The sequel to BridgeBasher is finally here. 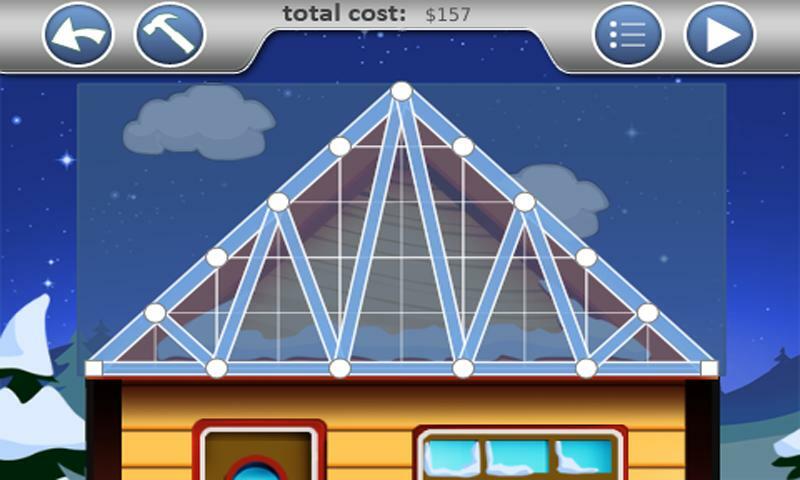 SimplePhysics lets you design complex structures for everything from tree houses to ferris wheels and then simulates your design with a sophisticated physics engine. A wise person once said: "An engineer is someone who can do for a dime what any fool can do for a dollar." 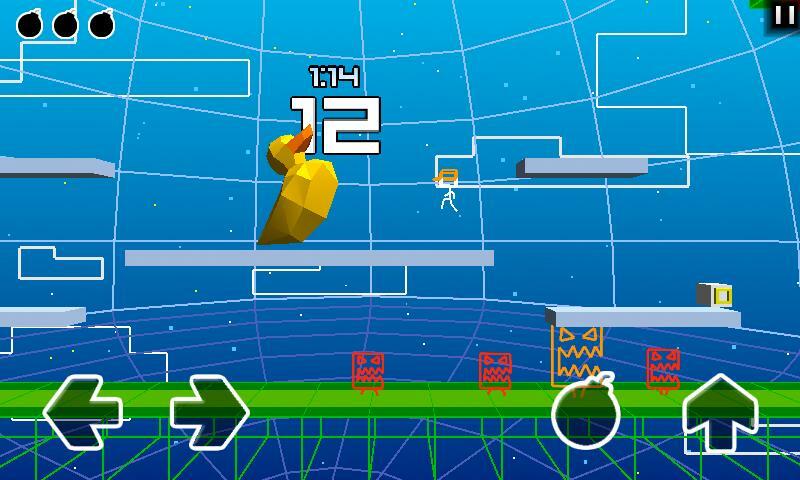 In SimplePhysics, your design must not only be strong enough, it must be cheap enough to win. With the built-in Leaderboards, you can also compete with people all around the world to see who can create the most cost effective designs. 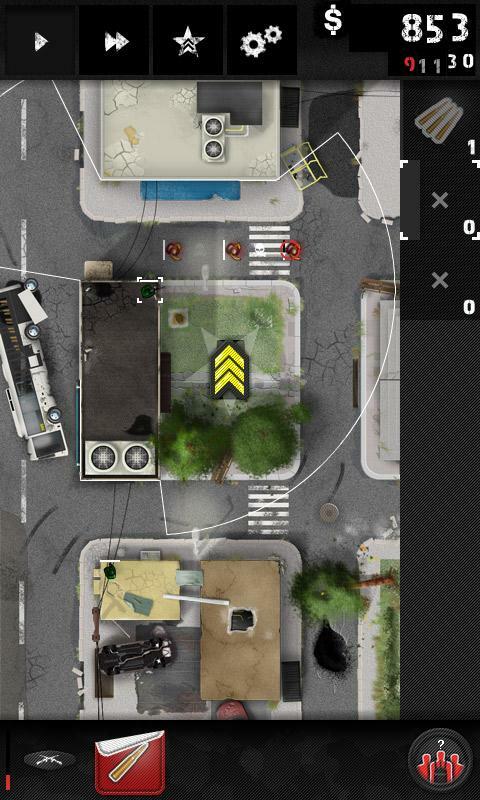 Create your design in seconds with the blueprints editor. If you make a mistake, simply tap the Undo button. Zoom in and out by pinching the screen and pan the view using a two finger drag. While testing, you can see how the strain is distributed across your design. Areas that are under immense strain are colored bright red, while other areas are colored green. This allows you to find and fix problem areas in your design. The finger test lets you use your finger to push and pull on your design. 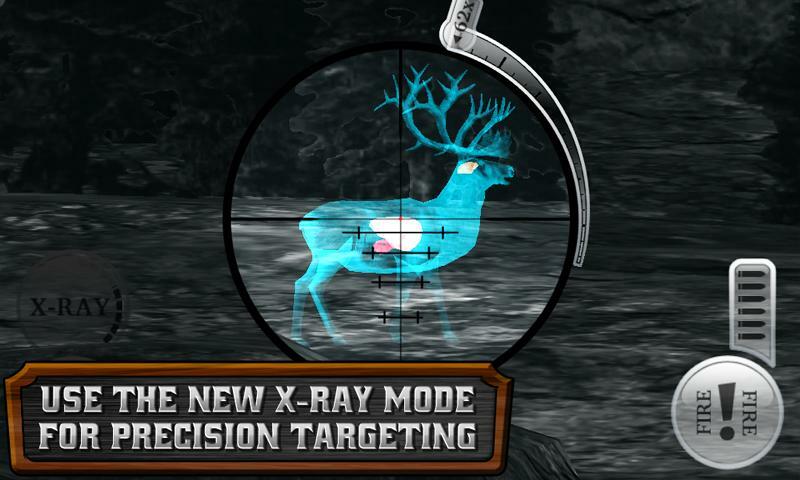 You can use this with pinpoint accuracy, or you can just smash your design to smithereens. 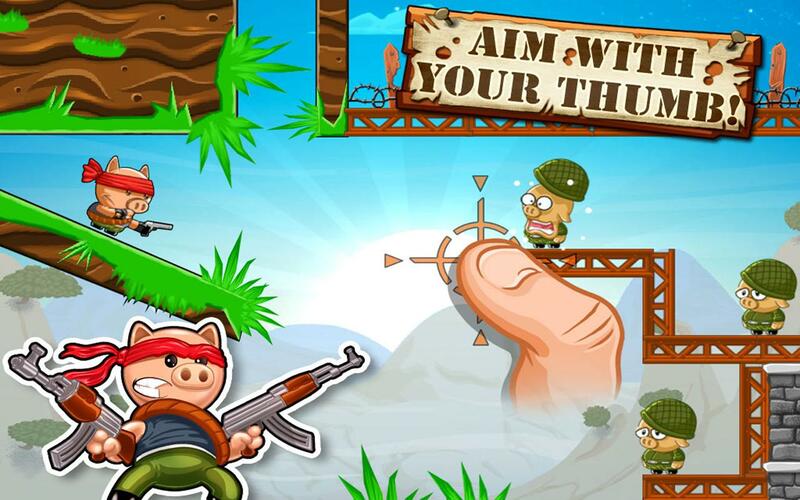 The finger test has an explosive new twist. 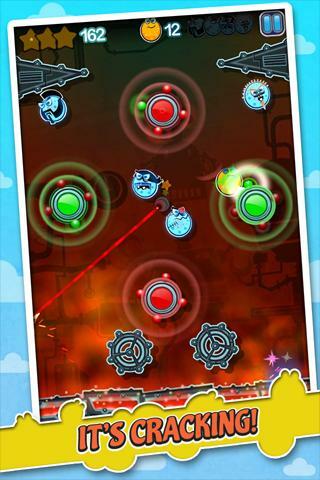 You can now create explosions by tapping the screen for ultimate annihilation. 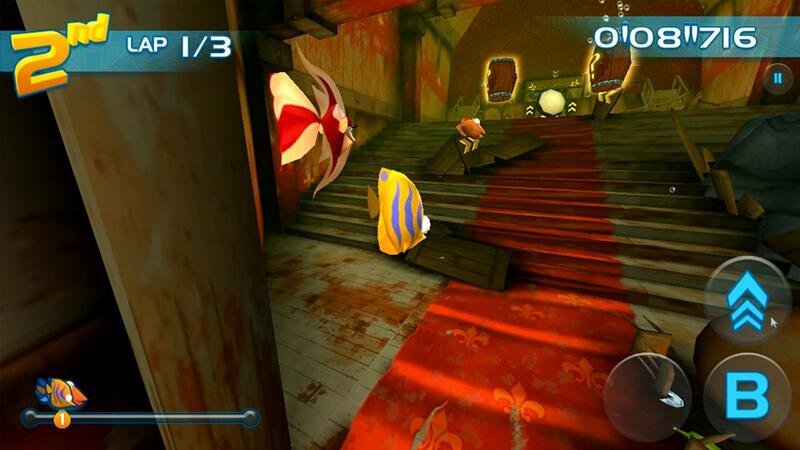 The newly added Bomb Shack level includes a dummy with full support for ragdoll physics. Throw him around, blow him up, and smash him against your design. The slow motion feature lets you slow things down so you can see how your design is failing, and it is also incredibly fun to watch explosions destroying your design in slow motion. 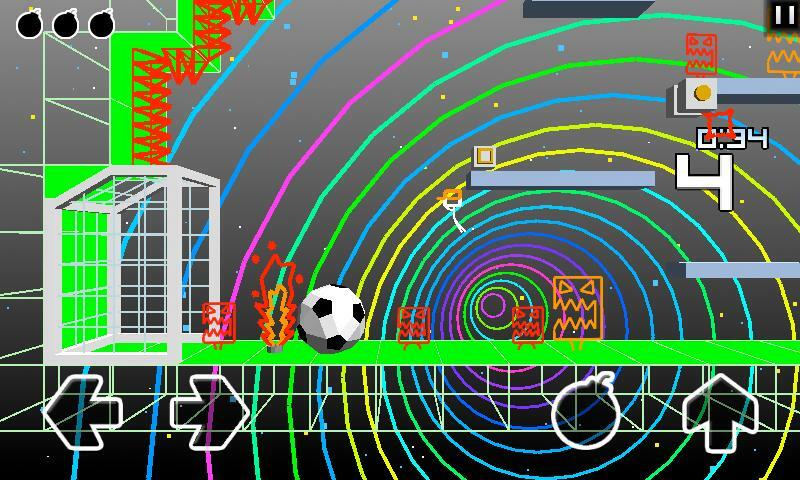 This game looks a bit insane in a psychedelic kind of way, don't you think? It kind of reminds me of Muffin Knight... if the knight was on shrooms. 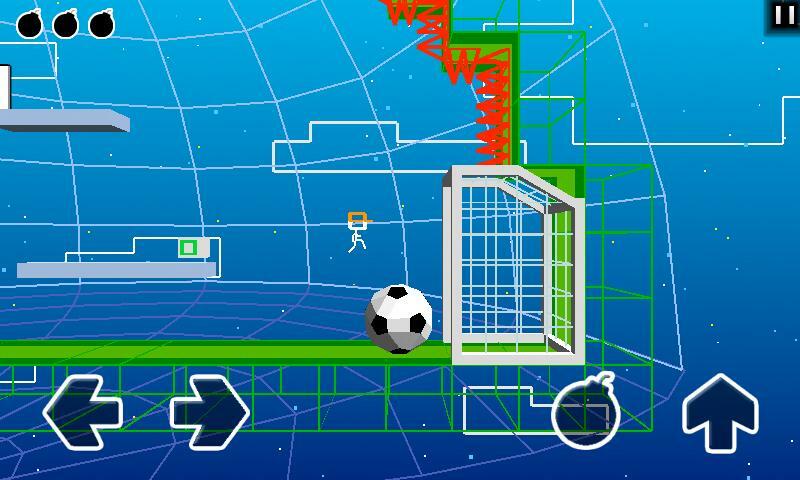 Soccer + Explosions + Platforming = Good Times. Blast Ball combines intense arcade gameplay, gorgeous retro style, soccer and explosions into one of the best gaming experiences on Android. 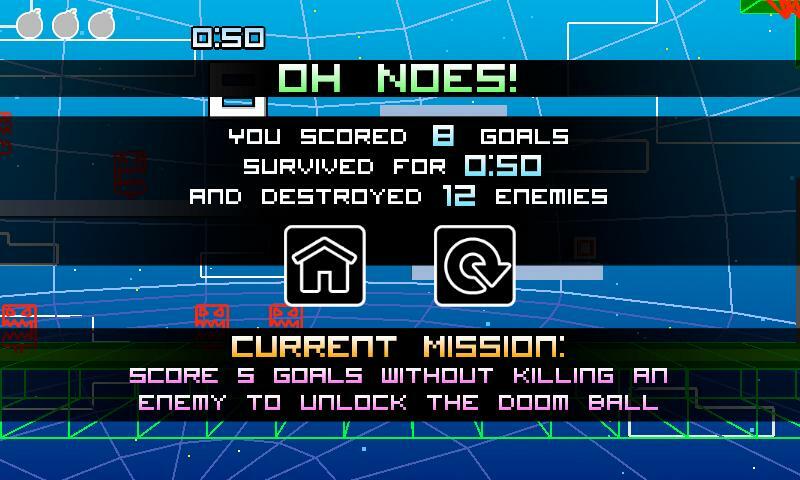 Score goals as fast as you can while blowing up your enemies! 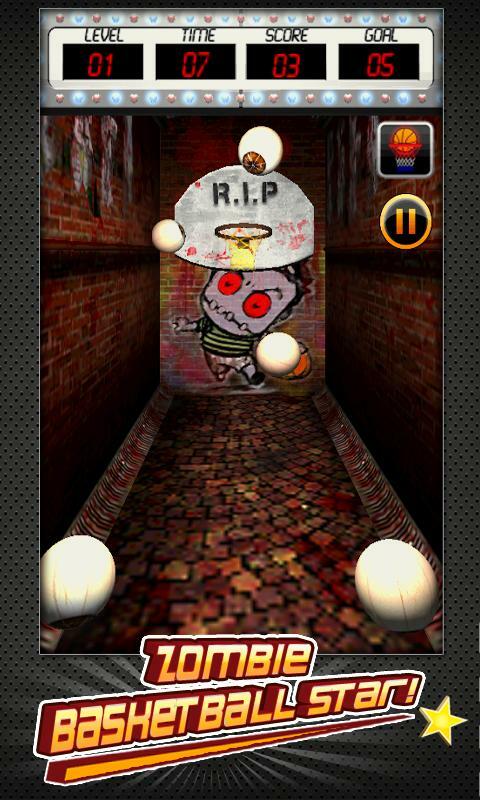 Avoid the ever increasing volley of bad guys as you score with soccer balls, footballs, basketballs, and Blast Balls. 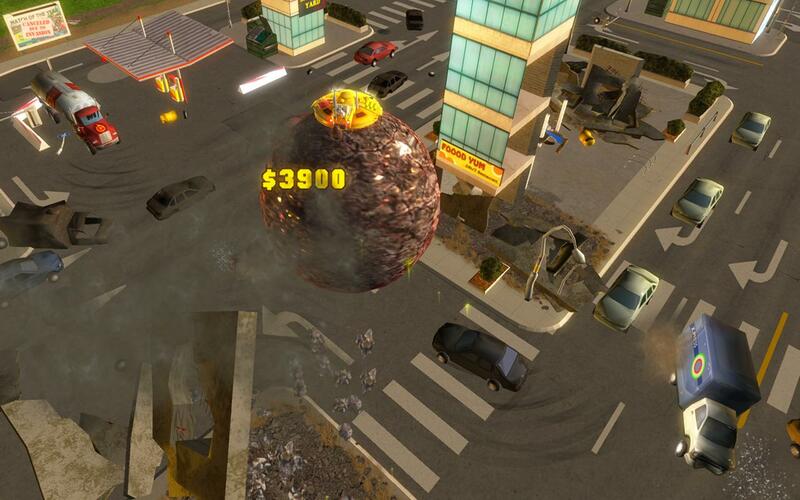 Complete missions to unlock new ball types such as the disco ball, mega ducky, and the cube. 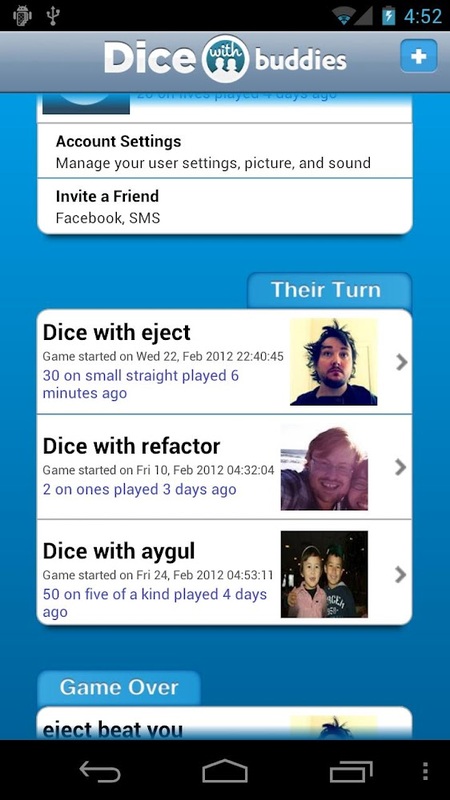 Find out for yourself why everyone's getting hooked on this addictive dice game I built. Similar to Hasbro, Inc.’s YAHTZEE® dice game, you can play with friends, family, or random opponents--whether they're sitting next to you or thousands of miles away. 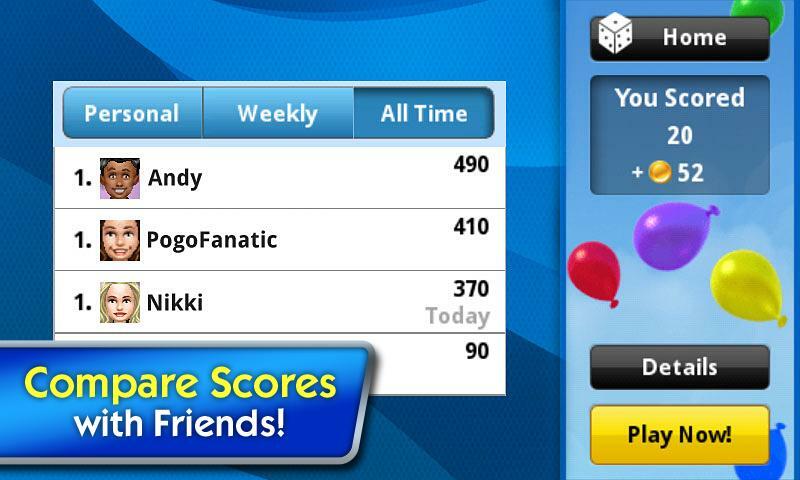 • Challenge your friends that are playing on iPhones and iPads! • Earn or buy "bonus rolls" for a 4th chance at the roll you need! 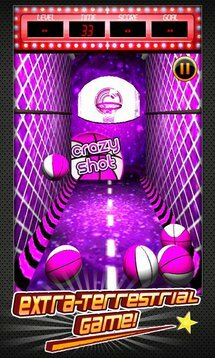 Be the MVP of arcade basketball with Basketball Shootout. 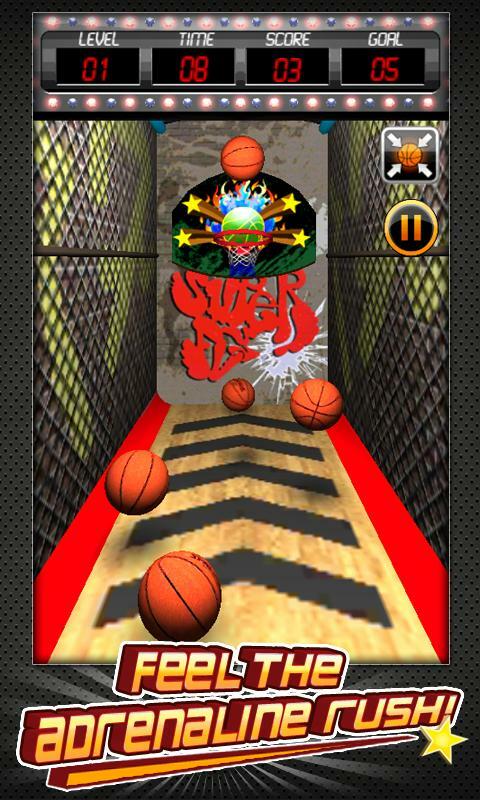 Revisit the classic basketball arcade experience with Basketball Shootout! Grab your device and put your game face on! 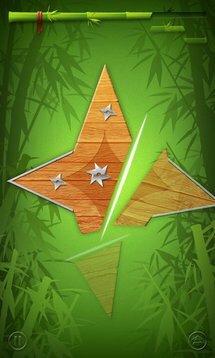 It will not be just about scoring points - this time it is about getting all achievements and accomplishing all objectives. 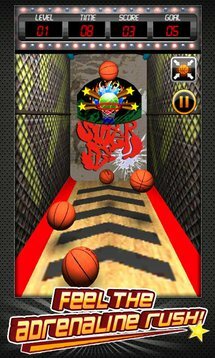 Personalize your own basketball arcade machine by unlocking ball and court themes. 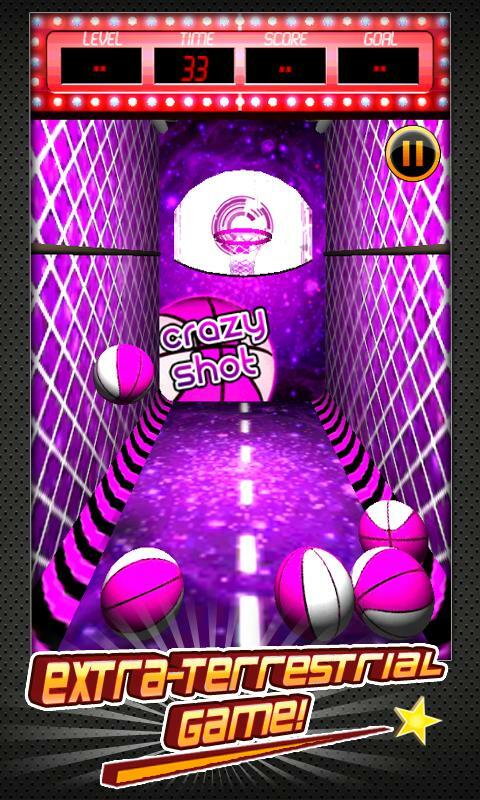 Keep your eye on the prize and be the champion with Basketball Shootout. 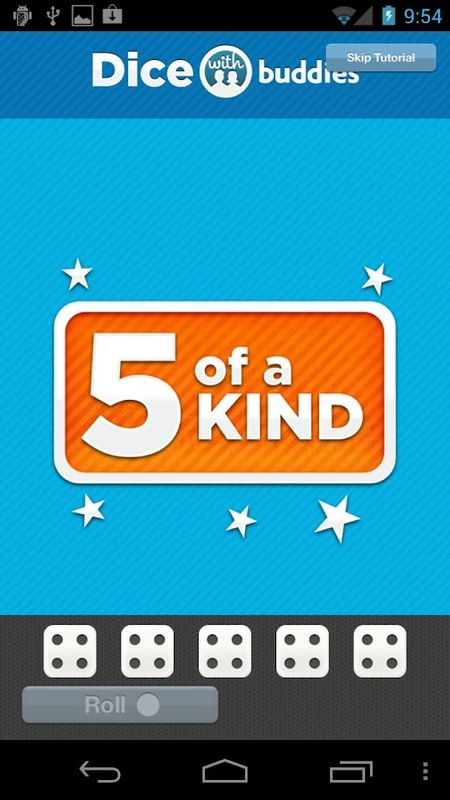 It's actually more fun than it may seem at first - watch the video. 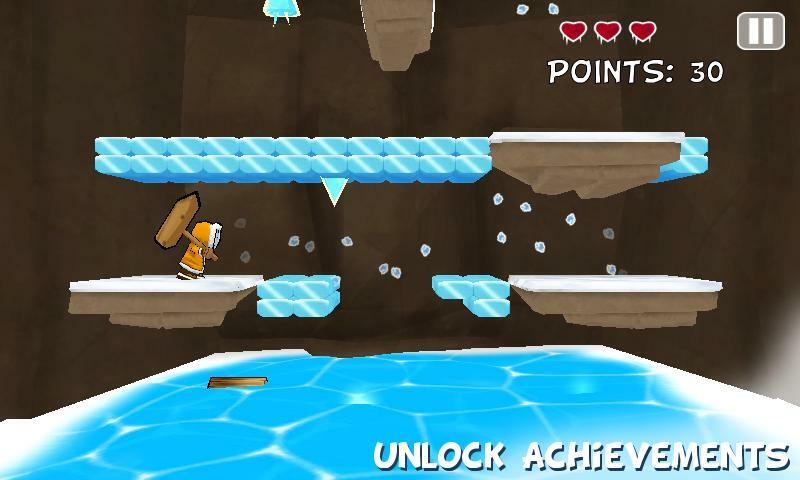 Take charge of Rover as he attempts to control Shaun the sheep and friends. 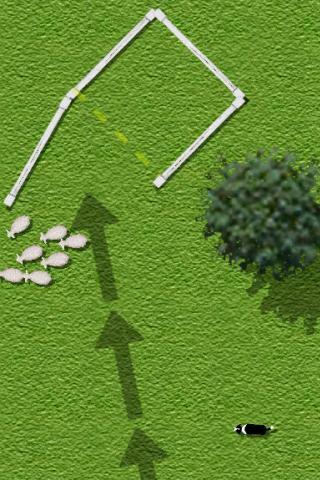 Can you control the sheep? You are in charge of Rover the sheepdog as he attempts to take Shaun the sheep and his friends through gates, over bridges, across dangerous roads and many other obstacles. Choose one of three modes; easy, medium and hard. 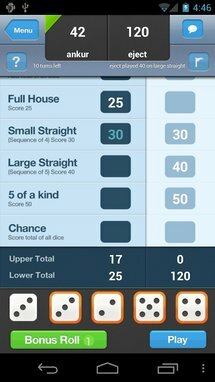 With 25 levels in each, making a total of 75. As the difficulty increases, you have to control more sheep, the obstacles get harder and even the cars on the road go faster. 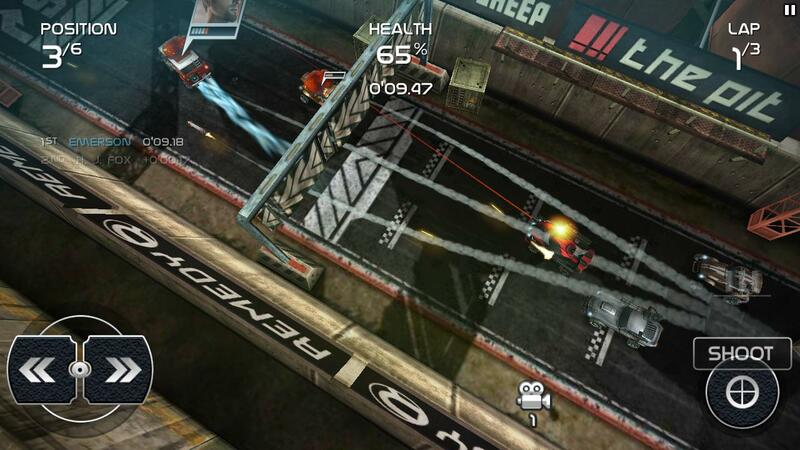 Jett Tailfin Racers THD is a fun karting-style racing game, but it's fishy. 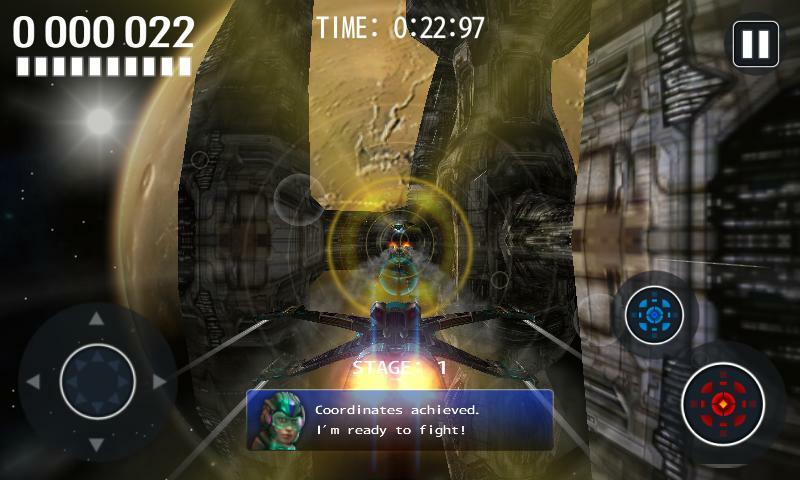 Jett Tailfin Racers THD is complete with many enhanced effects for NVIDIA Tegra-powered Smartphones and Tablets such as motion-blur, high-resolution textures and up to full 1080p HD graphics rendering with extra enhancements for Tegra 3. 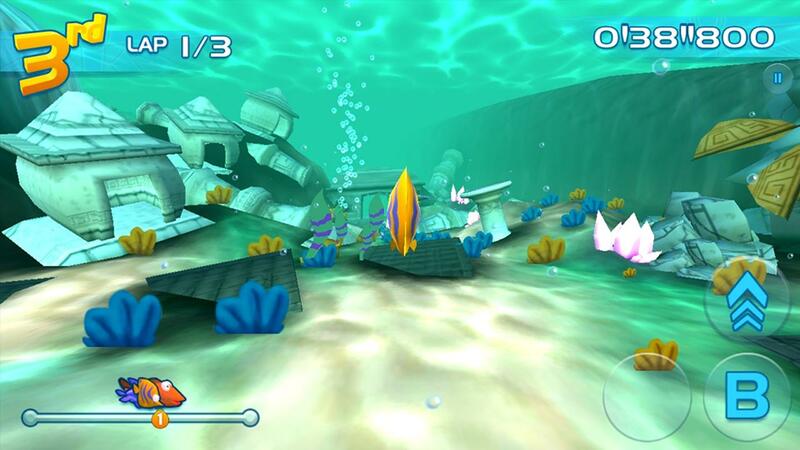 You take on the role of Jett Tailfin and his friends, racing through various undersea courses. The sea can be a dangerous place, though - look out for shark attacks! and octopi that can hamper your progress. 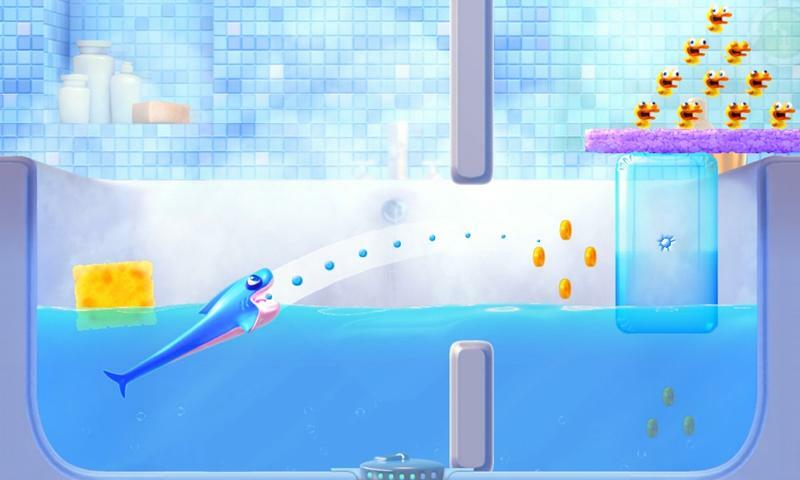 You do want to recharge by swimming through the bubble streams or get a really good boost by navigating through the jet streams that can whiz you to first place. 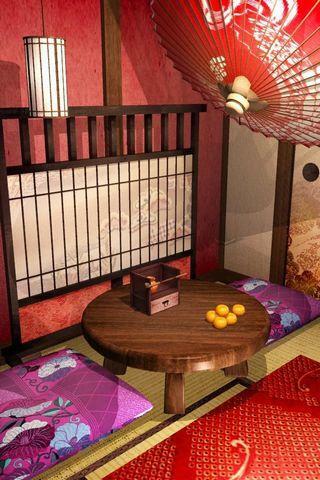 Weird, usually these Escape games are published by IDAC, but for some reason Geisha House was released by Wavea. It could be IDAC's partner or a new brand, but there is definitely some sort of relationship between the two. Prologue: My name is Tsuruno and I work as a Geisha in Kyoto. I was taking a rest before attending the party tonight, but it seems I fell asleep without noticing. I have to get to the party. 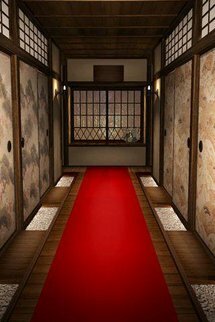 Your mission is only to escape from the room by opening the door. 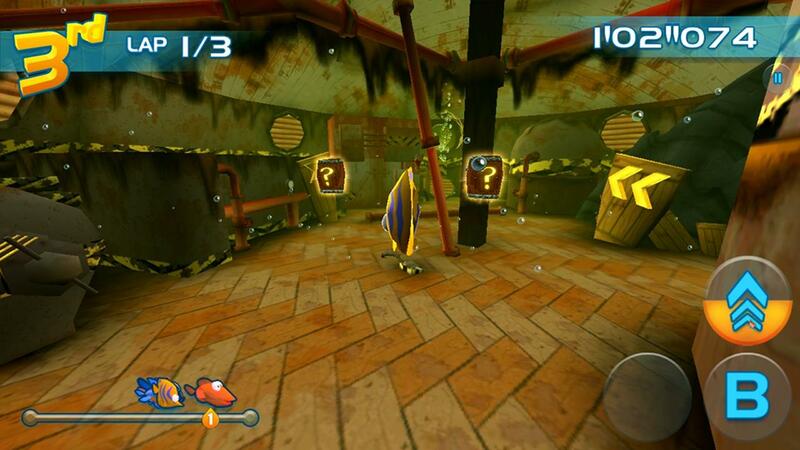 However, to do this, you'll need to gather some items and use those items in solving puzzles. The rules are very simple. 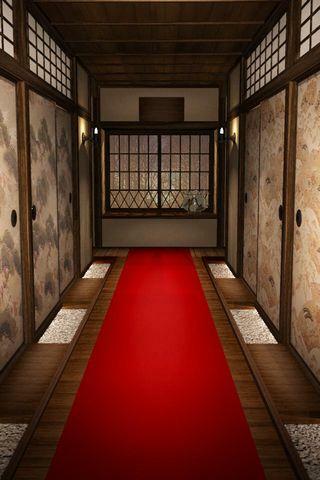 You can tap various locations, and you can also flick when you need to move about the room. 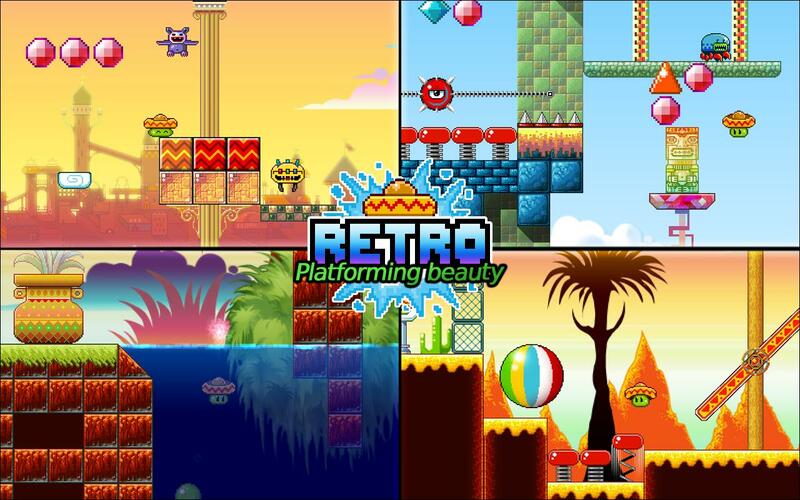 Enjoy platforming perfection on the go. 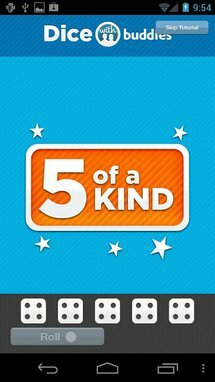 Five worlds to explore with three achievements per stage. 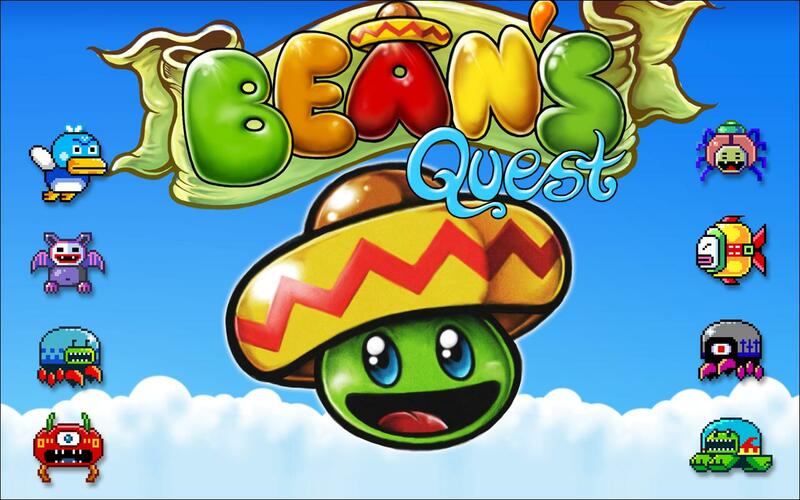 Bean's Quest is easy to pick up yet hard to master. Emilio has been cursed and his girlfriend kidnapped! Transformed by dark magic into a jumping bean, you must bounce your way to victory through 50 levels spread over 5 worlds. Can you rescue your one true love and find your missing pet axolotls? 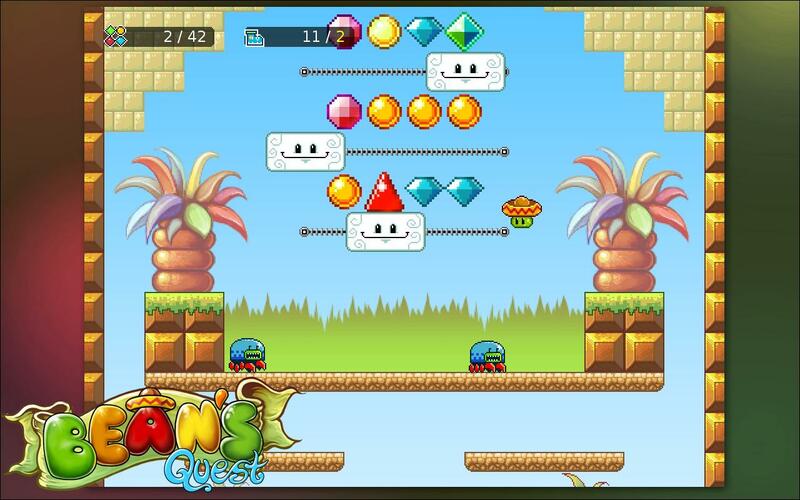 Bean's Quest brings back retro platforming to your Android device with super intuitive controls; touch left or touch right - it's so simple. Beautiful, but controls are too laggy/unresponsive for my liking (perhaps it's my device) - maybe you'll like it. 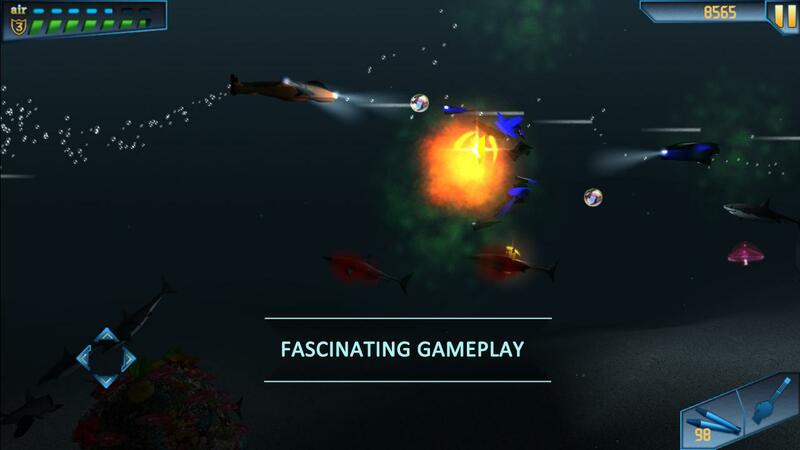 Action arcade AstroFish in a stunning three-dimensional (3D) underwater surroundings. 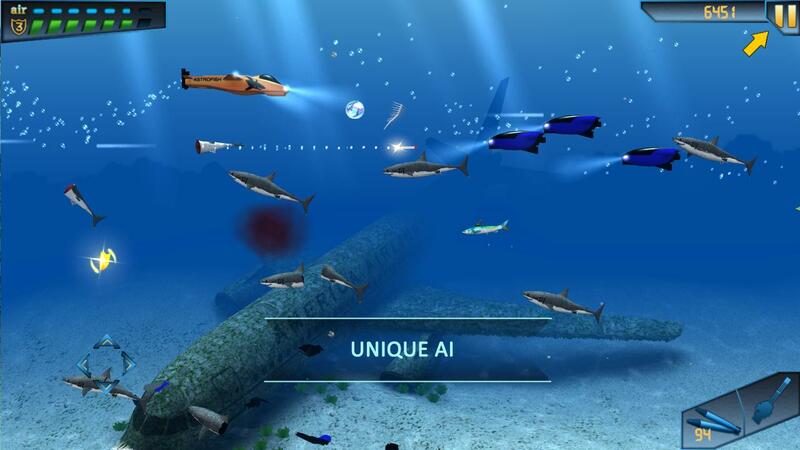 Going through the depths of marine fauna and lots of hazards and tests you are to perform the task of the research company NPCE as a chief pilot of the experimental submarine. You have to meet the giant inhabitants of the underwater world and you must to defend the interests of the company in spite of the other members of the aggressive-minded groups.